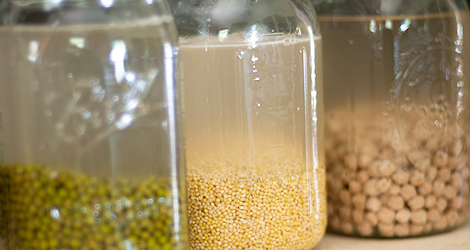 Grains and legumes have been consumed for many years, but it wasn’t until the past 50+ years that we stopped traditionally preparing grains by soaking them. The practice of soaking grains has become more common in our modern age due to the book “Nourishing Traditions”. In it, author Sally Fallon Morell teaches the reader about how food was prepared in traditional cultures that were not exposed to industrialised food in an industrialised world. By soaking the grains in an acidic medium (lemon juice, buttermilk, liquid whey, yogurt, or apple cider vinegar) you break down the anti-nutrients in the grain and the minerals are released making them digestible. It is the whole grains that require more careful preparation than their more refined counterparts. When the bran and germ are removed from grains, as in white rice or white flour, many of the nutrients are stripped from these grains, but many of the anti-nutrients are as well. Grains are like seeds, in a way. Those very same wheat berries that you might grind to make flour can also be planted in a field and allowed to grow into a stock of wheat, if they haven’t been chemically treated to prevent it. Because they are like seeds they contain protective elements in their outer seed coat and bran. These protective elements help to combat predators such as insects, or potentially damaging environmental threats such as bacteria, sun radiation, or weather. These anti-nutrients include phytic acid, lectins, enzyme-inhibitors, and fibre in the bran that can be tough to break down in the digestive tract. Most of these anti-nutrients are part of the seed’s system of preservation—they prevent sprouting until the conditions are right. It is the germination process – when the conditions are right – that encourages the grain or seed to throw off these protective barriers and give forth a shoot. In order for that germination process to happen, there must be moisture and warmth. Phytic acid is one of the most touted “bad guys” in grains. It essentially works as a chelating agent, binding with the minerals in the grain, and preventing those minerals from being absorbed in the digestive tract. Phytic acid is an organic acid in which bound to phosphorus in a snowflake-like molecule.It is mostly found in the bran or outer hull of seeds. In humans and animals with one stomach, the phosphorus—a vital mineral for bones and health— is not readily bio-available. In addition to blocking phosphorus availability, the “arms” of the phytic acid molecule readily bind with other minerals, such as calcium, magnesium, copper, iron and especially zinc in the intestinal tract and block their absorption. This is why a diet high in improperly prepared whole grains may lead to serious mineral deficiencies and bone loss.In this form, the compound is referred to as phytate. Phytic acid not only grabs on to or chelates important minerals, but also inhibits enzymes that we need to digest our food, including pepsin, needed for the breakdown of proteins in the stomach, and amylase, needed for the breakdown of starch into sugar. Trypsin, needed for protein digestion in the small intestine, is also inhibited by phytates. Other anti-nutrients in whole grains include enzyme inhibitors which can inhibit digestion and put stress on the pancreas; irritating tannins; complex sugars which the body cannot break down; and gluten and related hard-to-digest proteins which may cause allergies, digestive disorders and even mental illness. Plants need moisture, warmth, time and slight acidity in order to sprout. Proper preparation of grains is a kind and gentle process that imitates the process that occurs in nature. It involves soaking for a period in warm, acidulated water in the preparation of porridge, or long, slow sour dough fermentation in the making of bread. Such processes neutralise phytic acid and enzyme inhibitors. Vitamin content increases, particularly B vitamins. Tannins, complex sugars, gluten and other difficult-to-digest substances are partially broken down into simpler components that are more readily available for absorption. Soaking flours and grains is a shortened version of fermentation. It is usually done for 12 to 24 hours and it is often recommended to introduce an acidic medium to the process, mimicking the acids that are naturally produced during the souring process. Benefits of using cultured dairy as the acid counterpart:Cultured dairy contains beneficial bacteria, in the form of a specific culture, and naturally occurring acids. It has been used as a medium to soak grains and flours in, although lemon juice and apple cider vinegar are just as effective. 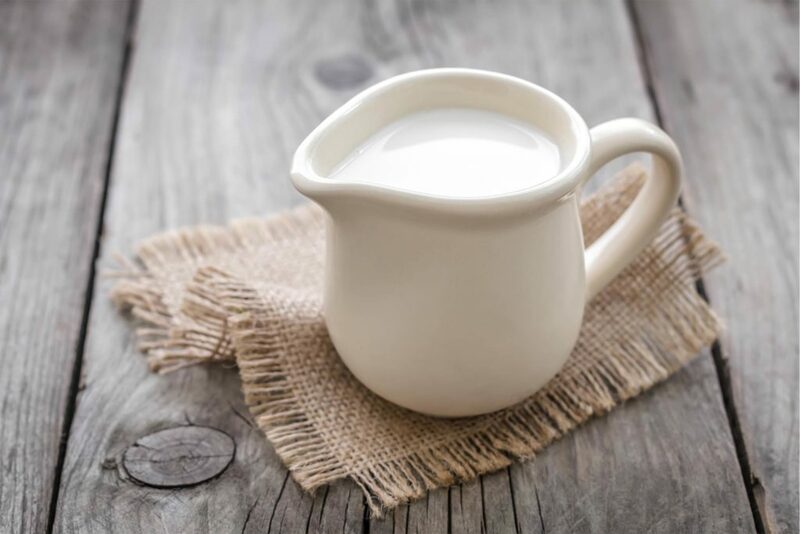 Cultured dairy such as milk kefir, buttermilk, and yogurt all contain enzymes. Enzymes are a big part of what kick-starts the process of breaking down fibre and anti-nutrients. Furthermore, the nutritional components of dairy (protein and fat) create a more balanced and nutritious baked product than one made with water alone. Soaking is just the beginning of the fermentation process. If allowed to soak longer, those grains + water + acidity + warmth will equal fermentation and that is what we should really be after. Fermentation naturally produces an acidic environment that will pre-digest those grains more for you. It naturally neutralises anti-nutrients and increases the vitamin content of your grains, giving you a more nourishing food product. It naturally decreases the starchiness of grains as the friendly organisms eat it up and produce acids. However, it takes more time than soaking and it produces an end product that may be too tangy for our western taste buds. As soaking is the beginning of the fermentation process, you can simply continue the soaking process until your grains/flours have fermented. It will get a little bubbly (think sourdough) and smell a big tangy. That’s when you know you have truly soured or fermented your grains. You’ll also need to simply get used to the sometimes tangy flavour of fermented grains, though they don’t always have to taste like a bowl of vinegar if prepared properly. Soaking grains in cultured dairy has been practiced for generations. The entire basis of the “eat traditional foods” concept is that a food can be trusted as a large part of your diet when it has been eaten by a traditional culture with a history of robust health. · Acidic medium - yogurt, buttermilk, lemon juice, apple cider vinegar, whey, milk kefir and coconut kefir. Note that all dairy needs to be cultured. 1. Place the grain into a glass bowl and cover completely with filtered warm water. For every 1 cup of liquid you will need 1 tbsp of acidic medium. All grains, with the exception of buckwheat and millet, need to be soaked for 12-24 hours. Buckwheat and millet have low levels of phytic acid and only require 7 hours soaking time. 2. Place your bowl of soaking grains on the counter top and cover. You could use a clean towel with a rubber band around the circumference holding the towel in place. 3. Allow the grain to sit in a warm place for the time needed for that particular grain. 4. You do not have to rinse the grains after the soaking time if you do not want to but you can. 5. Proceed with recipe. Note: many soaked grains will take less time to cook than non-soaked grains. The ideal preparation of brown rice would start with home-milling, to remove a portion of the bran, and then would involve souring at a very warm temperature at least sixteen hours, preferably twenty-four hours. Using a starter would be ideal. 1. Soak rice for at least eight hours in hot water plus a little fresh whey, lemon juice or vinegar. 2. If you soak in a tightly closed mason jar, the rice will stay warm as it generates heat. 3. Drain, rinse and cook in broth and butter. 1. Add the liquids (water, oils, sweetener) and flour together in a glass bowl and 1 tbsp of acidic medium for every 1 cup of liquid used. 2. Cover and allow to soak overnight. 3. Proceed with the recipe in the morning by adding the remaining ingredients (such as the eggs, milk and other perishable ingredients) and cook as directed. 1. Add together flour and water (reserving 1/2 cup water to dissolve yeast) and 1 Tbsp of vinegar or kefir for every 1 cup of water added. You can also add the sweetener and oils if you want. 2. Cover and allow to soak for 8-12 hours. 3. After soaking add the reserved water to the yeast with a tsp of honey and proceed with recipe. 1. Add enough water to cover the beans and a pinch of baking soda. 2. Cover and allow to sit in a warm kitchen for 12-24 hours, changing the water and baking soda once or twice. 1. Place beans into pot and add enough water to cover the beans. For Every one cup of beans you need 1 tbsp of acidic medium. 2. After soaking is done, rinse the beans, replace the water and cook for 4-8 hours on low heat until beans are tender. Remember: If you are soaking legumes, it is best to rinse them several times during the soaking time to prevent them from starting to ferment. Always rinse legumes before cooking. 1. Add 1 cup of oats, water, and the acidic medium into a glass bowl and stir well. Cover and let it sit overnight on the counter (at least 7-8 hours). 3. Heat to a low simmer and cook for 5 minutes. 4. Serve with a generous portion of butter and cream. Nature has set it up so that the grain or seed may survive until proper growing conditions are present. Nature’s defence mechanism includes nutritional inhibitors and toxic substances that can be removed naturally when the conditions are right for it to germinate. Soaking them is a way for us to mimic the natural process of releasing this defence mechanism and unlocking the vital nutrients inside these precious grains. Soaking allows enzymes, lactobacilli, and other helpful organisms to break down and neutralise a large portion of anti-nutrients and phytic acid in grains. Soaking in warm water also neutralises enzyme inhibitors, present in all seeds, and encourages the production of numerous beneficial enzymes. The action of these enzymes also increases the amount of minerals, and vitamins, especially B vitamins. During the process of soaking and fermenting, gluten and other difficult-to-digest proteins are partially broken down into simpler components that are more readily available for absorption. This process of fermentation, has been used for thousands of years by various cultures to create foods such as sourdough bread, dosas, and soured porridges. A diet high in improperly prepared whole grains may lead to serious mineral deficiencies and bone loss. Buy only organic whole grains and soak them overnight to make porridge or casseroles; or grind them into flour with a home grinder and make your own sourdough bread and baked goods. For those who lack the time for bread-making, kindly-made whole grain breads are now available. Chia seeds are tiny black and white seeds from the plant Salvia hispanica, which is related to the mint. From beverages to baked goods, these seeds are said to have been used by Mayan and Aztec cultures for “supernatural powers”. In Mayan, “chia” means “strength.” This probably has to do with the large amounts of energy provided by chia seeds. Ancient warriors attributed their stamina to this tiny seed. Chia was first used by the Aztecs as early as 3500 B.C. and was a cash crop in the centre of Mexico between 1500 and 900 B.C. Pre-Columbian civilisations used chia as a raw material for medicines, nutritional compounds. Chia was used by the Aztecs as food, mixed with other foods, mixed in water and drunk as a beverage, ground into flour, included in medicines, and pressed for oil. Chia flour could be stored for many years and could be easily carried on long trips, serving as a high-energy food. The aztecs also offered chia to their gods during religious ceremonies. When the Spanish conquerors landed the new land in 1500s, they repressed the natives, and suppressed their existing traditions and trade system. Many crops that had held a major position in pre-Columbian American diets were banned by the Spanish because of their close association with religion. Chia, as the result, was deliberately eliminated. Chia survived only in regional areas of Mexico for the last 500 years. It wasn’t until the mid-20th century that Latin American governments began to re-establish chia seeds as a national agricultural product. Chia seeds are cultivated on a small scale in their ancestral homeland of central Mexico and Guatemala and commercially throughout Central and South America. Chia is one powerful little seed, as it delivers the maximum amount of nutrients with minimum calories. They have several of the same benefits as the more well-known “super seed” flax, but unlike flax seed, you don’t need to grind them to reap the health benefits. A 2 tablespoon serving (28g) contains 138 calories and 9 grams of fat, along with a whopping 11g of fibre, 5g of protein and 18% of the daily value for calcium, plus other important minerals. It’s also surprisingly packed with alpha-linolenic acid omega-3s (4,500mg), more than you’ll find in flaxseed. This makes them one of the world's best sources of several important nutrients, calorie for calorie. Chia boasts an impressive array of flavonoid and polyphenol anti-oxidants including quercetin, kaempferol, chlorogenic acid and caffeic acid. 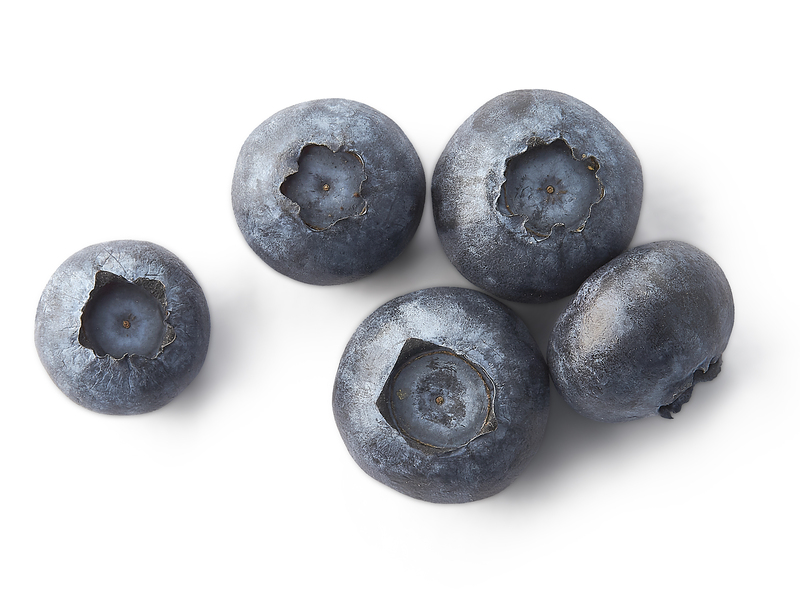 It has three times the amount of anti-oxidants as blueberries for equal volume. This combination of nutrients is perfect for healthy blood sugar levels and sustained energy. A diet that includes chia seeds is a powerful combatant for diabetes, heart disease and metabolic syndrome. Contributing to its superseed status, chia is one of the most concentrated sources of omega-3 in any food. It also contains high amounts of omega-6. Everyone needs to consume high amounts of these essential fatty acids in their diet, because these EFAs build new cells and regulate various processes of the body, but our bodies cannot make them internally. They also support heart health and beautiful skin, hair and nails. Like flaxseeds, chia seeds are very high in omega-3 fatty acids. In fact, chia seeds contain more omega-3s than salmon, gram for gram. However, it’s important to keep in mind that the omega-3s in them are mostly ALA (alpha-linolenic acid), which is not as beneficial as you may think. ALA needs to be converted into the active forms eicosapentaenoic acid (EPA) and docosahexaenoic acid (DHA) before your body can use it. Unfortunately, humans are inefficient at converting ALA into these active forms. Therefore, plant omega-3s tend to be vastly inferior to animal sources like fish oil (21). Because they don't supply any DHA, which is the most important omega-3 fat, most experts consider chia seeds a lower-quality omega-3 source. 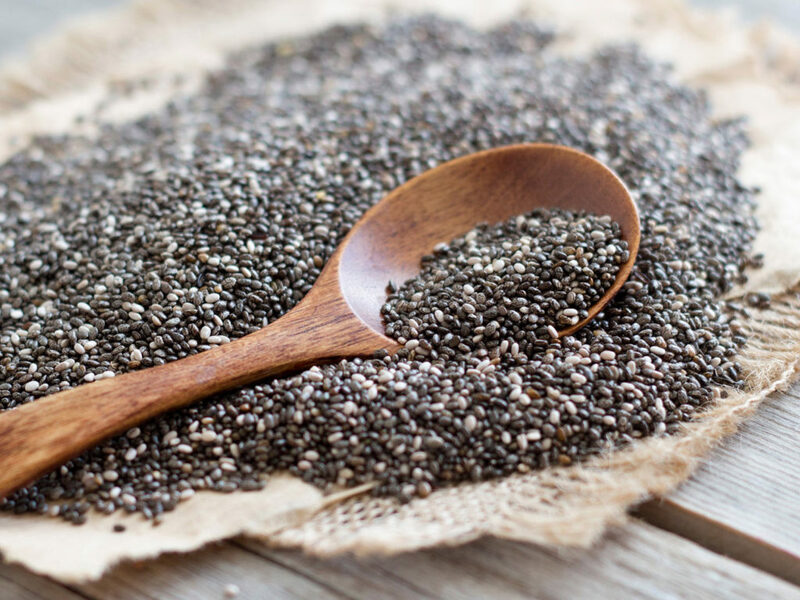 Studies in humans and animals have shown that chia seeds may raise blood levels of ALA up to 138%, and EPA up to 39%. It turns out that these same benefits are just as applicable in modern times! In fact one study, found that a chia gel was as effective as energy drinks for maintaining athletic performance. In the study, participants were split into two groups. One group was given an energy drink, and another an energy drink/chia seed gel. Participants completed various running and endurance activities and their results were compared. The study found no difference in performance between the two groups and concluded that chia seeds were as effective as energy drinks in promoting athletic performance. A recipe for this energy gel is given below. Almost all of the carbohydrates in chia seeds are fibre. In 28g of chia seeds, the 12g of carbs that it contains 11g of it is fibre, which your body doesn’t digest which does not raise blood sugar or affect insulin levels like other forms of carbohydrates. A high fibre intake has been linked with improved gut health and a lower risk of numerous diseases. Chia seeds also have a unique ability to “gel” due to the soluble fibre content. The outer shell is hydrophilic and so has the ability to absorb over 10 times their weight in liquid. This makes them filling and satisfying. Researchers think that this gel action also occurs in the stomach, creating a barrier between carbohydrates and enzymes in the stomach which slows the conversion of carbohydrates into sugar. This may account for some of the reported endurance benefits of chia seeds. This super absorbent nature also helps to hydrate the colon and move toxins out of the gut. The blend of insoluble and soluble fibre helps to sweep and sponge microorganisms and environmental toxins out of the colon and into the faeces. Thus, the fibre works as a prebiotic in the digestive system, so while it isn’t digested and used directly, it feeds the beneficial bacteria in the gut and may help improve gut health. It has also been linked to decreased risk of diabetes, increased stool bulk and reduced constipation. 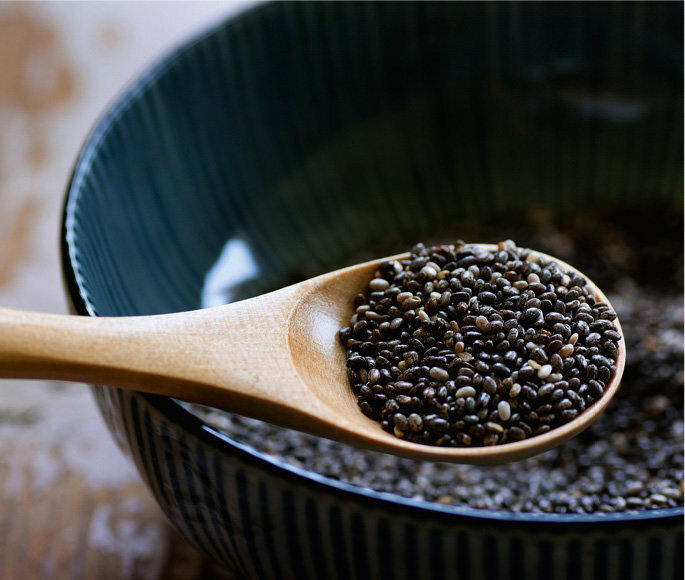 Adding just 2 tbsp of chia seeds to your diet can reduce caloric intake and double the amount of fibre you would consume. As this high fibre seed promotes a feeling of fullness, it could prevent overeating which leads to weight gain. However, more evidence is needed to support this concept. Chia seeds are high in several nutrients that are important for bone health. This includes calcium, phosphorus, magnesium and protein. Gram for gram, this is higher than most dairy products and so would make an excellent source of calcium for people who don't eat dairy. Chia seeds may lower the rise in blood sugar after a high-carb meal, possibly benefiting people with type 2 diabetes. Animal studies have found that chia seeds may improve insulin sensitivity and blood sugar control, stabilising blood sugar levels after meals. A few human studies support this by showing that eating bread that contains chia seeds lowers the post-meal rise in blood sugar compared to bread that doesn’t include any chia. Chia is loaded with omega 3 fatty acids and neuro-protective anti-oxidants such as quercetin, caffeic and chlorogenic acid. These essential fats and anti-oxidants produce cell membranes that are more flexible and efficient. Healthier cell membranes results in more efficient nutrient delivery systems and faster nerve transmission processes. This improves brain function including memory and concentration. Chia seeds are incredibly easy to incorporate into your diet. The seeds themselves taste rather bland, so you can add them to pretty much anything. They also don't need to be ground like flax seeds, which makes them much easier to prepare. They can be eaten raw, soaked in juice, added to porridge, pudding, smoothies or added to baked goods. You can also sprinkle them on top of cereal, yogurt, vegetables or rice dishes. Because of their ability to absorb both water and fat, they can be used to thicken sauces and as egg substitutes in recipes. Mixed with water, they can replace egg in vegan cooking or for those with egg allergies. Simply mix one part chia seeds to six parts water. About one tablespoon of this gel equals one large egg. When combined with liquid, chia seeds swell and form a gel. Chia’s ability to gel also makes the seeds a fine substitute for pectin in jam (Recipe below). Chia seeds are an integral ingredient in the Mexican and Central American favourite drink: Chia Fresca (Recipe below), in which the seeds are mixed into lime or lemon juice with added sweetener. Add a couple tablespoons of chia seeds to a cup of coconut water. Let sit for about ten minutes and you’ll have an incredible energy gel! · 1⁄2 teaspoon vanilla extract (fresh, minced ginger or lemon juice also work well as flavouring agents in this jam). 1. In small saucepan over medium heat, add blueberries and maple syrup/honey. Stir and cook the blueberry mixture for 10 minutes. Use a potato masher to mash blueberries. 2. Add 1 tablespoon of chia seeds and continue to cook and stir for about 2 to 3 minutes or until blueberry mixture resembles a jam consistency. 3. Remove from heat and blend in vanilla extract. 4. Refrigerate and use within a week. 1. Combine all ingredients in a glass and let sit for about 15 minutes in the fridge so the chia seeds have a chance to absorb some of the liquid and “gel” up. 2. Enjoy immediately or save for later. 3. Can be made ahead of time as the mixture should last at least 2-3 days in the fridge. Chia seeds generally do not cause any adverse effects. However, to avoid possible digestive side effects, drinking plenty of water with chia seeds is generally advised, especially if they have not been soaked before eating. 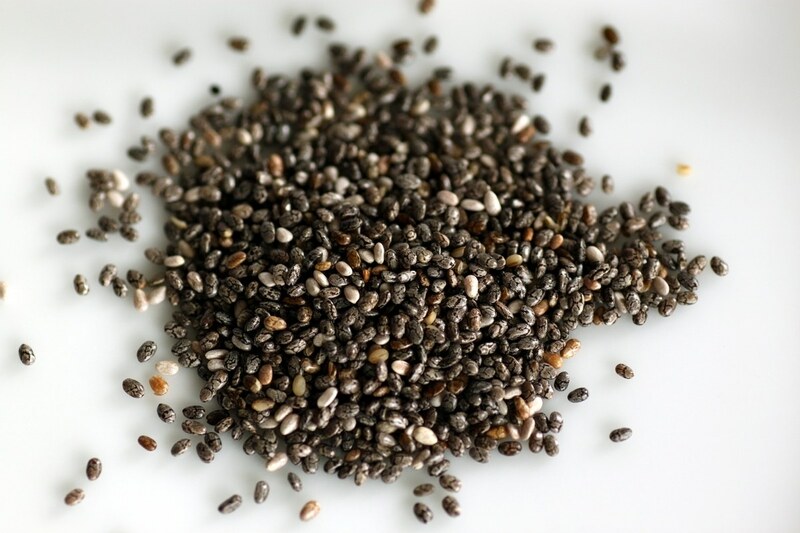 Like all grains and seeds, chia seeds contain compounds called phytic acid. Phytic acid is a plant compound that binds with minerals, such as iron and zinc, and inhibits their uptake from foods. This is the reason that many ancient cultures soaked and fermented grains and seeds prior to eating them. Chia seeds are naturally gluten free and are a good source of many nutrients. Though they do contain phytic acid, they do not contain as high of levels as many other nuts and seeds. There is also some evidence that soaking and rinsing the seeds may help reduce the levels of phytic acid, thus releasing the nutrients from the seed. Large doses of omega-3 fats, such as those from fish oils, may have blood thinning effects. If you are taking blood-thinning medications, then consult with your doctor before incorporating large amounts of chia seeds into the diet. The omega-3 fatty acids may affect the activity of the medication. Chia seeds can absorb up to 27 times their weight in water so it is important to mix chia seeds into another food or liquid before consuming, especially for people with a history of swallowing problems. Small children should not be given chia seeds. Chia seeds are very rich in fibre, antioxidants, minerals, and omega-3 fatty acids. A few spoonfuls daily might be powerful enough to improve risk factors for heart disease and diabetes, lead to better digestive and bone health, plus boost endurance and mental function. Chia is such a versatile seed and so very easy to incorporate into a healthy diet. Adding chia seeds to any recipe will dramatically boost their nutritional value. They are truly worthy of their reputation as a superfood. Making activated charcoal involves heating carbon-rich materials, such as wood, peat, coconut shells, or sawdust, to very high temperatures. The high temperatures change its internal structure, reducing the size of its pores and increasing its surface area. This results in a charcoal that is more porous than regular charcoal. The manufacture of activated charcoal makes it extremely adsorbent, allowing it to bind to molecules, ions, or atoms. This 'activation' process strips the charcoal of previously absorbed molecules and frees up bonding sites again. This process also reduces the size of the pores in the charcoal and makes more holes in each molecule, therefore, increasing its overall surface area. As a result, one teaspoon full of activated charcoal has more surface area than a football field! The charcoal's porous texture has a negative electrical charge, which causes it to attract positively charged molecules, such as toxins and gases. The black powder stops toxins and chemicals from being absorbed in the stomach by binding to them. The body is unable to absorb charcoal, and so the toxins that bind to the charcoal leave the body in the faeces. Activated charcoal is not the same substance as that found in charcoal bricks or burnt pieces of food and it shouldn't be confused with charcoal briquettes that are used to light your barbecue. While both can be made from the same base materials, charcoal briquettes have not been "activated" at high temperatures. Moreover, they contain additional substances that are toxic to humans. The first documented use of activated charcoal goes as far back as 3750 B.C., when it was first used by the Egyptians for smelting ores to create bronze. By 1500 B.C. the Egyptians were also using it for intestinal ailments, absorbing unpleasant odours, and for writing on papyrus. In 400 B.C. the Ancient Hindus and Phoenicians discovered the antiseptic properties of activated charcoal and began using it to purify their water. A well known practice for any long sea voyage was to store water in barrels that had been charred. By 50 A.D., leading the way for the use of activated charcoal in medicine was Hippocrates and Pliny, who began using it to treat many different ailments such as epilepsy, and vertigo. After the suppression of the sciences through the Dark Ages, charcoal re-emerged in the 1700’s and 1800’s within the use of medical treatments - both for its absorbent properties of fluid and gases and for its disinfectant properties. Some popular uses during this time period included poultices made from charcoal and bread crumbs or yeast (favoured by army and navy surgeons) as well as charcoal powders to alleviate foul smelling ulcers, acidity in the stomach, and even nosebleeds. By the 1900’s charcoal was even starting to be sold as lozenges, biscuits, and tooth powders! Today, activated charcoal is used in practical applications in hospitals and homes, for people and for pets. In medical facilities around the world, charcoal is used in filtering masks for lab technicians, in liver and kidney dialysis machines, and even as markers in breast cancer surgery (among many other applications). Just as charcoal has been used to help remove toxins ingested by humans, veterinarians also use this practice for pets that may have ingested something potentially harmful to them (such as when dogs eat chocolate!). Additionally, activated charcoal has found its place in day to day use, being used in air filters and water purification. Activated carbon is used in methane and hydrogen storage, decaffeination, gold purification, metal extraction, sewage treatment, air filters in gas masks and respirators, filters in compressed air, teeth whitening, and many other applications. One of the most popular activated charcoal uses is for the safe and effective treatment of poisoning and drug overdoses. It’s used in emergency trauma centres across the world. Research shows that activated charcoal works better than stomach pumping in some situations. In addition, it’s used to reduce bloating and gas, lower cholesterol and treat bile flow problems safely during pregnancy (intrahepatic cholestasis). So, how does activated charcoal work? As mentioned before, activated charcoal works by trapping toxins and chemicals in its millions of tiny pores. Typically, however, it’s not used when petroleum, alcohol, lye, acids or other corrosive poisons are ingested. Activated charcoal may be able to assist kidney function by filtering out undigested toxins and drugs. It seems to be especially effective at removing toxins derived from urea, the main by-product of protein digestion. Aging is a natural part of life, but due to the toxic load we are exposed to through food, our homes and workplaces, and our environment, to prevent premature aging we must get rid of them. For this activated charcoal use, take two capsules per day after exposure to non-organic foods, heavy meals or after contact to other toxins. This supports better cognitive function, a reduction in brain fog, healthier kidney and liver function, and a healthier gastrointestinal tract. In humans, activated charcoal has been shown to help improve kidney function in those suffering from chronic kidney disease. Activated charcoal may help promote kidney function by reducing the number of waste products that the kidneys have to filter. Those with chronic kidney disease suffer from a condition in which the kidneys can no longer properly filter waste products. Activated charcoal uses include helping prevent cellular damage to kidneys and liver, as well as supporting healthy adrenal glands. Activated charcoal benefits major organs by helping the body flush out the toxins and chemicals that cause the damage. Activated charcoal powder is thought to be able to disrupt intestinal gas, although researchers still do not understand how. It could work by binding the gas-causing by-products in foods that cause discomfort. Liquids and gases trapped in the intestine can easily pass through the millions of tiny holes in activated charcoal, and this process may neutralise them. In a 2012 study, a small sample of people with a history of excessive gas in their intestines took 448 milligrams (mg) of activated charcoal three times a day for 2 days before having intestinal ultrasound examinations. They also took another 672 mg on the morning of the exam. The study showed that medical examiners were better able to see certain parts of some of the organs they intended to identify with the ultrasound whereas intestinal gas would have obscured these before the treatment. Also, some 34 percent of the participants who were given the activated charcoal to reduce their gas had improved symptoms. In commercial settings, such as waste-management centres, operators often use activated carbon granules for one part of the filtration process. Dozens of water filtration products are also designed for at-home use, using carbon cartridges to purify water of toxins and impurities. A 2015 study found that water filtration systems that used carbon removed as much as 100 percent of the fluoride in 32 unfiltered water samples after 6 months of installation. However, according to a study published in the Journal of the Canadian Dental Association, activated carbon filters (activated charcoal), removes some fluoride. Given its use as a gastrointestinal absorbent in overdoses and poisonings, it follows that some people might propose activated charcoal as a treatment for diarrhoea. In a 2017 review of recent studies on the use of activated charcoal for diarrhoea, researchers concluded that it might be able to prevent bacteria and drugs that can cause diarrhoea from being absorbed into the body by trapping them on its porous, textured surface. While noting it as a suitable treatment for diarrhoea, the researchers also pointed out that activated charcoal had few side effects, especially in comparison with common anti-diarrhoeal medications. It works to whiten teeth by adsorbing plaque and microscopic dirt that stain teeth. This activated charcoal use is cost-effective and an all-natural solution for a bright smile. Although activated charcoal has amazing toxin-absorbing properties, there still is no significant research to support its use for teeth whitening or oral health. Activated charcoal uses extend beyond internal applications. For external treatments, it’s effective at treating body odour and acne and relieving discomfort from insect bites, rashes from poison ivy or poison oak, and snake bites. Researchers have reported that activated charcoal can help draw micro-particles, such as dirt, dust, chemicals, toxins, and bacteria, to the surface of the skin, to make removing them easier. Activated charcoal uses also include as an antidote in the event of an accidental, or purposeful, overdose of many pharmaceutical drugs and over-the-counter medications. It’s effective for aspirin, opium, cocaine, morphine, sedative and acetaminophen. It’s important that the proper amount is administered as quickly as possible — definitely within an hour of ingestion. That's because it can bind a wide variety of drugs, reducing their effects. In humans, activated charcoal has been used as a poison antidote since the early 1800s. For instance, studies show that when a single dose of 50–100 grams of activated charcoal is taken within five minutes of drug ingestion, it may reduce drug absorption in adults by up to 74%. This effect decreases to around 50% when the charcoal is taken 30 minutes after drug ingestion and 20% if it's taken three hours after the drug overdose. It can be used in cases of food poisoning when nausea and diarrhoea are present. Adults take 25 grams at onset of symptoms or when food poisoning is suspected, and children should be given 10 grams. Increase dosage as necessary. Remember, it’s essential that adequate water is consumed when activated charcoal is taken. Most organic compounds, pesticides, mercury, fertilizer and bleach bind to activated charcoal’s surface, allowing for quicker elimination, while preventing the absorption in the body. However, it's important to note that activated charcoal is not effective in all cases of poisoning. For instance, it appears to have little effect on alcohol, heavy metal, iron, lithium, potassium, acid or alkali poisonings. In the event of poisoning, call the emergency services immediately. No one should ever try to treat an overdose or poisoning at home. What's more, experts warn that activated charcoal shouldn't be routinely administered in all cases of poisoning. Rather, its use should be considered on a case-by-case basis. Activated charcoal is an active ingredient in many commercial products for fighting acne. This is because activated charcoal can pull the dirt and toxins from your skin that cause you to break out. Mix this together and apply to your face with a flat brush for a wonderful skin detox. Let the mask dry and wash off gently. Wet a toothbrush and dip into powdered activated charcoal. Brush teeth as normal, paying special attention to areas showing the most staining. Sip a bit of water, swish through mouth thoroughly and spit. Rinse well, until spit is clear. For best results, brush your teeth with activated charcoal powder 2–3 times per week. Note:Be careful, for it can (and will) stain grout and fabrics. Protect counters, floors and clothing before using. If you have crowns, caps or porcelain veneers, it’s possible that activated charcoal will stain them. In addition, if your teeth become sensitive, stop using it. Charcoal may absorb smells and harmful gases, making it ideal as an underarm, shoe, and refrigerator deodorant. 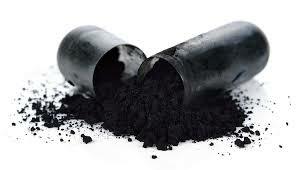 Activated charcoal is also reported to be able to absorb excess moisture and control humidity levels at a micro level. Take about 4 tablespoons of your favourite coconut oil and mix in 2 teaspoons of activated charcoal powder. You will also need a third of a cup of both starch and baking soda. There have been no major adverse reactions noted with activated charcoal in any of its various forms, except that it may cause nausea and vomiting in large amounts. In addition, constipation and black stools are two other commonly reported side effects. Whenever you take activated charcoal, it’s imperative to drink 12–16 glasses of water per day. Activated charcoal can cause dehydration if adequate amounts of water aren’t consumed in tandem. In addition, this helps to flush out the toxins quickly and prevents constipation experienced by some individuals. It’s always good to be aware of any medical conditions such as intestinal bleeding or blockages, holes in the intestines, chronic dehydration, slow digestion, or a recent abdominal surgery, as they may affect how activated charcoal reacts in your body. When activated charcoal is used as an emergency antidote for poison, there's a risk that it can travel into the lungs, rather than the stomach. This is especially true if the person receiving it vomits or is drowsy or semi-conscious. Because of this risk, activated charcoal should only be given to individuals who are fully conscious. Additionally, activated charcoal can interfere with the absorption of nutrients, supplements and interfere with prescription medications. Take activated charcoal 90 minutes to two hours prior to meals, supplements and prescription medications. People taking medications should talk with a doctor before taking oral activated charcoal products, as these may interfere with absorption of their medication. Activated charcoal is a type of charcoal that's processed to make it more porous. This porous texture is what distinguishes it from other types of charcoals, including the type used for barbecuing. Its super absorbent nature helps it trap toxins and chemicals in the gut and as it can’t be absorbed by your body, it carries the toxins bound to its surface out of your body in faeces. The porous surface of activated charcoal has a negative electric charge that causes positive-charged toxins and gas to bond with it. This is why it is still touted as a universal antidote to treat drug overdoses, food poisoning and deadly snake and spider bites. Not only does it combat the life threatening conditions it has many other uses ranging from lowering cholesterol to whitening teeth. Although its toxin-absorbing properties have a wide range of medicinal and cosmetic uses, more research is needed to scientifically prove its effectiveness. The last time you might have heard anything about Iodine was probably in your science lesson or at your doctors who might have mentioned that you need iodine to fix your thyroid. However, Iodine is so much more than just a chemical element or something that helps your thyroid. This blog will tell you how else Iodine can help improve your health and wellbeing. To start with the basics: Iodine is a chemical element with symbol ‘I’ on the periodic table. It exists as a lustrous, purple-black non-metallic solid which readily becomes a violet gas when heated. It was discovered by the French chemist Bernard Courtois in 1811. Courtois was extracting sodium and potassium compounds from seaweed ash. Once these compounds were removed, he added sulfuric acid to further process the ash. He accidentally added too much acid and a violet coloured cloud erupted. This gas condensed on metal objects in the room, creating solid iodine. It was named two years later by another French chemist Joseph Louis Gay-Lussac who proved that it was a new element and gave it the name of “iode” from the Greek “ioeides” meaning violet coloured. Iodine is the fourth halogen, being a member of group 17 in the periodic table, below fluorine, chlorine, and bromine; it is the heaviest stable member of its group. The dominant producers of iodine today are Chile and Japan. Around 70 percent of iodine is found in the thyroid gland in the neck. The rest is in the blood, the muscles, the ovaries, and other parts of the body. Though iodine is essential to a wide number of bodily functions, the most important function of iodine occurs in the thyroid. Without iodine, no thyroid hormones would be synthesised. These hormones control metabolism, remove toxins, and utilise other minerals, such as calcium. The amount of iodine in a food depends on how much iodine there is at the source of production. The amount of iodine in the soil where crops are grown, or where an animal is raised for meat will affect the amount of iodine in the food. Produce from the sea is a good source of iodine. Unfortunately, bromine, found in processed bread products, and fluoride, found in toothpaste and added to the water supply, deplete iodine in the body. Iodine is also used as a test for starch and turns a deep blue when it comes in contact with it. Potassium iodide is used to make photographic film and, when mixed with iodine in alcohol, as an antiseptic for external wounds. A radioactive isotope of iodine, iodine-131, is used to treat some diseases of the thyroid gland and protects the thyroid from radiation. When nuclear emergencies arise, I-131, is released into the atmosphere where it can be taken up by the thyroid gland. To prevent this, governments and medical professionals provide non-radioactive iodine in the form of potassium iodide. If given at high enough doses – hundreds of times the normal dose – the good iodine saturates the thyroid gland, preventing the radioactive isotopes from entering. The dose is repeated once daily until the threat is gone. The number one role of iodine in the body is the production of thyroid hormones. As a result, most of the body’s iodine is concentrated in the thyroid. The pituitary gland releases thyroid-stimulating hormone (TSH), which tells the thyroid how much T3 and T4 to produce. Iodine helps convert thyroid stimulating hormone (TSH) to triiodothyronine (T3) and thyroxine (T4). This conversion is important for the thyroid to function properly. Your thyroid gland uses it to make thyroid hormones, which help control growth, repair damaged cells and support a healthy metabolism. Stress can increase the production of TSH, which affects how much T3 and T4 are produced, affecting metabolism. The hypothalamus, a gland in the brain, produces a thyrotropin-releasing hormone (TRH) that also affects the production of thyroid hormones. Ensuring a healthy supply of iodine is important for a healthy thyroid. Add sea salt, seafood, raw milk and eggs to your diet to avoid iodine deficiency, as this often also works as a preventative step of an enlarged thyroid gland and other health problems. More about this later. Iodine influences greatly the functioning of the thyroid glands by helping with the production of hormones directly responsible for controlling the body’s base metabolic rate. Metabolic rate ensures the efficiency of the body’s organ systems and biochemical processes, including sleep cycle, absorption of food and transformation of food into energy we can use. Hormones, like thyroxin and triiodothyronine, influence blood pressure, heart rate, body temperature and weight. The basal metabolic rate is maintained by the body with the help of these hormones, which also plays a role in protein synthesis. Iodine plays a vital role in maintaining optimal energy levels of the body by the utilisation of calories, without allowing them to be deposited as excess fat. Iodine plays a role in boosting immunity and inducing apoptosis, the self-destruction of dangerous, cancerous cells. While iodine assists in destroying mutated cells, it doesn’t destroy healthy cells in the process. Evidence shows the ability of iodine-rich seaweed to inhibit growth of breast tumour development. This is supported by the low rate of breast cancer in parts of world, especially in Japan, where women consume a diet rich in iodine. Elemental iodine falls within the halogen group on the periodic table of elements. The halogen group also includes chlorine, fluorine, and bromine. People use chlorine to disinfect pool water, but it can irritate the lungs, eyes, and skin. Fluoride (a form of fluorine) disrupts the way enzymes operate in the body, affecting cellular function, cell signaling, and the stress response. Scientists have linked brominated flame retardants to brain and thyroid dysfunction, preterm birth, and more. These halogens are taken up by the thyroid, since they are chemically similar, preventing iodine from entering thyroid cells. Saturating the thyroid with iodine promotes detoxification by prompting it to release undesirable halogens. It can also purge the system of toxic metals since iodine binds to such elements in the body. Iodine supplementation may help you detox from heavy metals like lead, mercury, cadmium, and aluminum. Dr. David Brownstein, author of the book Iodine: Why You Need It / Why You Can’t Live Without It and an expert in iodine, states that “Iodine is a chelator of mercury. It will bind with mercury and allow the body to release [it]." Iodine can clean up and destroy most types of harmful organisms. Because of this, medical professionals use it to clean wounds and prepare you for some surgeries. But these properties can also benefit your immune system. Iodine helps defend against harmful cells, a process called apoptosis. Iodine also acts as an antioxidant that scavenges free radicals in the body. It increases the activity of antioxidants throughout the body to provide a strong defensive measure against various diseases, including cancer and cardiovascular disease. Recent studies have shown that iodine directly protects the brain cells of rats from the harmful effects of free radicals by bonding onto fatty acids in the cell membrane, leaving less room for free radicals to have a negative impact on the organism. Pregnant women need more iodine than usual because this mineral is necessary for proper brain development of the unborn child. A breastfeeding woman needs even more iodine to ensure she gets enough for herself and her baby. Studies have shown that iodine deficiency during infancy and pregnancy can interrupt healthy brain development and growth. Infants are more susceptible to mortality and high risk for neurodegenerative problems if iodine-deficient, such as a mental form of disability known as cretinism, motor function problems, learning disabilities and low growth rate. The most critical phase of brain development is during pregnancy, infancy, and childhood, but iodine supports healthy brain function throughout life. It’s extremely important for those planning to conceive to have optimum iodine levels. Continue taking iodine through breastfeeding to ensure your baby has an adequate supply of iodine, too. It’s clear that getting adequate iodine in your diet plays a role in ensuring healthy skin, nails, and hair. Dry, irritated and rough skin that becomes flaky and inflamed is a common sign of iodine deficiency. Iodine helps with the formation of shiny and healthy skin, hair and teeth and is an important trace element, as a lack of iodine results in hair loss. In animal studies, iodine deficiency was linked to a lack of hair growth. Individuals born with cretinism have less hair than normal and thick, dry skin. Iodine helps with women’s reproductive health and breast health. Studies show that moderate iodine deficiencies may reduce a woman’s chances of getting pregnant. Severe iodine deficiencies may also lead to miscarriage. Even mildly low iodine levels in pregnant women are linked with greater oxidative stress – a reduction in the body’s ability to break down free radicals – which leads to complications, including preeclampsia, gestational diabetes mellitus, and preterm birth. Iodine-deficiency is also a risk factor for developing polycystic ovary syndrome, in which cysts or benign growths develop in the ovaries. This condition starts off harmless but may affect hormone balance. Like thyroid tissue, breast tissue absorbs iodine, and breast conditions and iodine deficiencies may be connected. Women with low thyroid activity (hypothyroidism) also may experience water retention, which leads to puffy, swollen skin. Iodine has a long history as a must-have tool for first aid, and you may find iodine packets in some first aid kits. These are typically povidone-iodine solution on a small wipe and used topically to cleanse wounds. Some first aid kits also include iodine crystal tablets for treating water in emergency conditions. Iodine tablets provide a faster method of water treatment compared with boiling. People with hypothyroidism— low thyroid function – generally experience weight gain, which can also lead to sluggish feelings, brain fog, and low energy. Low iodine levels, genetics, and other conditions can cause hypothyroidism. People with hyperthyroidism– overactive thyroid – often have trouble gaining weight. An overactive thyroid produces too much of the T3 and T4 hormones, which uses up all the body’s iodine, so sometimes supplementing with iodine helps, even though it seems counter-intuitive. However, always consult with your doctor first. Most vitamins and minerals need certain other vitamins and minerals to perform their necessary functions perfectly. These are called cofactors or companion nutrients. Important cofactors for iodine include selenium (minimum 200 mg per day), magnesium (minimum 400 mg per day), vitamin C (minimum 2,000-3,000 mg per day), and vitamins B2 and B3 (100 mg riboflavin and 500 mg niacin per day). Vitamin B1 (thiamin) may also be required to activate the thyroid hormone. Iodine-rich soil is found by the coasts, so one is much more likely to experience iodine deficiency in the middle regions of the country. However, the soil has been depleted of every mineral in recent decades, leading to iodine deficiency in soils everywhere. This adds up to simply not enough iodine in our diet, even if we eat a whole foods diet. Boosting your intake of iodine-rich foods is a great start, but also consider adding with a quality iodine supplement as well. ▪Foods from the Ocean:Since iodine occurs in ocean sediments and ocean water, top sources include seafood, shellfish, and sea vegetables or seaweed such as wakame, dulse, or nori – which are iodine superfoods. A sheet of seaweed may contain between 16-3,000 mcg of iodine. Unfortunately, food from the ocean can be subject to various pollutants. *Dairy Products:Milk products often contain iodine due to the use of iodine-containing antiseptics on dairy equipment and to clean the teats of cows, although this usage is declining. As a result, milk products may or may not contain iodine, depending on the dairy farm it comes from. For people who follow a plant-based diet, dairy isn't a viable solution. →Whichever one you choose, make sure you're getting a product that's organic, deep-earth sourced, and produced without harsh chemicals or alcohol. Nascent iodine- sometimes called atomic iodine, where iodine is in a free ionic state, unbound to another atom, giving it an electromagnetic charge and reported better absorption in the body when consumed orally. Nascent, colloidal iodine is more readily absorbed by the body than other forms, which means it is more bioavailable. The body recognises nascent iodine as what it uses to make the T3 and T4 hormones. Potassium iodide -comes in tablets or liquid. It is the most common form of iodine, and most inexpensive to produce. Doctors give patients SSKI as an expectorant to help clear mucus, to prepare for surgery, and in rare circumstances of exposure to nuclear outfall to treat radiation. Sometimes, sodium iodide is also used to remedy deficiencies. Only about 20% of potassium iodide is absorbed by the digestive tract, and thus not the best choice for iodine supplementation. Lugol’s iodine –or Lugol’s Solution, is one of the most common iodine supplements. Lugol’s is an aqueous solution containing one part free elemental iodine to two parts potassium iodide in distilled water. Although Lugol’s contains just 2-5 percent iodine, the free iodine is more potent, so it is sometimes called strong iodine solution. Lugol’s has been used for decades as a disinfectant, in dental settings, in various medical procedures, and as a pre-operative treatment for patients with Grave’s disease headed for thyroidectomy (thyroid removal). Breast tissue favours this type, and it has also been found to help inhibit hormone secretion. A palm-sized amount of Lugol’s is usually used to paint on the skin. Painting is applying a solution topically to the skin. The idea behind this method is that the body will only consume that which it truly needs, and you can actually measure and observe the amount taken in. It also allows the iodine to reach the ideal destination in a higher concentration. One study found that iodine bioavailability increased seven times when painted on the problem area. Povidone-Iodine Solution - is a powerful antiseptic and disinfectant. This form is commonly used in first aid kits and medical settings to clean wounds and sterilise skin before major or minor surgery. This is not typically taken orally, although some people use it as a mouthwash. Tincture of Iodine - elemental iodine is suspended in water and ethanol. A weak iodine tincture is about 2-7 percent iodine, while a strong tincture is 7 percent or higher. Both strengths are used as antiseptics, and are used topically rather than taken orally. Some people use a tincture of iodine for what's called the iodine patch test, a popular but unreliable method of testing for iodine deficiency. An iodine loading test is a far more reliable measure of iodine levels, but must be done by a healthcare professional. Iodine overdose of more than 2,000 milligrams could be dangerous, especially in individuals who are diagnosed with tuberculosis or kidney disease. Iodine in excess could result in thyroid papillary cancer and hyperthyroidism rather than prevention. Pregnant women and nursing mothers should be cautious not to take iodine except in specifically prescribed doses. A healthy balance is required, but different people’s bodies will react differently to dose amounts. People who have Hashimoto’s, thyroiditis or particular cases of hypothyroid individuals should speak with their doctors to discuss how much, if any, iodine should be taken through careful supplementation. Care should be taken in handling and using pure iodine. It can burn the skin and damage the eyes and mucous membranes. Pure iodine is poisonous if ingested. Iodine and thyroid hormones play a crucial role in supporting brain function, including mental wellness and mood. Some studies have linked developmental conditions, such as ADHD and autism to low iodine during pregnancy or childhood. The role the thyroid has on adult psychiatric conditions remains unclear, but given iodine’s critical role in brain development, ensuring an adequate supply for overall mental wellness is a good idea. Iodine doesn’t just affect the thyroid; it does many other things, including playing an important role as an immune booster, boosting antioxidant functions, maintaining the integrity of the mammary gland as well as antibacterial properties, particularly against H. pylori, which is a bacterial infection in the stomach and associated with gastric cancer. From this blog it seems that those experiencing infertility, constipation, mood disorders, and those with mental or physical impairments or planning to get pregnant would benefit greatly from iodine supplementation as well as eating more iodine rich foods. With the temperature fluctuating and heading towards zero degrees, some of you may have already fought a cold or even contracted the flu. Being sick, even when you’re home in bed, isn’t fun. The combination of body aches, fever, chills, and nasal congestion can be enough to make anyone miserable. There are plenty of home remedies that can alleviate your symptoms and get you back to normal. Herbal and natural remedies may not be a cure-all, but they can help shorten the duration and get you feeling better faster, as some of the most readily prescribed options can have serious side effects. Dietary Adjustments: At the first sign of illness, completely remove all white foods from the diet. This includes grains, sugars, milk, cheese, dairy, sweeteners, soda, etc. These foods suppress immune function, increase inflammation and slow the body’s healing ability. When you are ill, you don’t actually need to eat a lot of food, as the body needs to focus more on healing than digestion. Eat foods that are easy to digest such as smoothies, broths and soups. · Herbal teas- herbal teas like peppermint, yarrow, nettle, thyme, and chamomile are great for when you’re feeling under the weather. Not only are they soothing and comforting, but they also really help to alleviate some symptoms that might be making you miserable. More on this later in the blog. · Cinnamon, honey, and coconut oil drink twice a day:Cinnamon is an effective antiviral and antibiotic, honey is a natural antibacterial and cough suppressant, and coconut oil is thought to help dissolve the protective coating around some viruses, allowing the immune system to get to work easier. When combined, they make a really tasty “tea.” When sick, mix a tablespoon of each in about 500 ml boiling water. 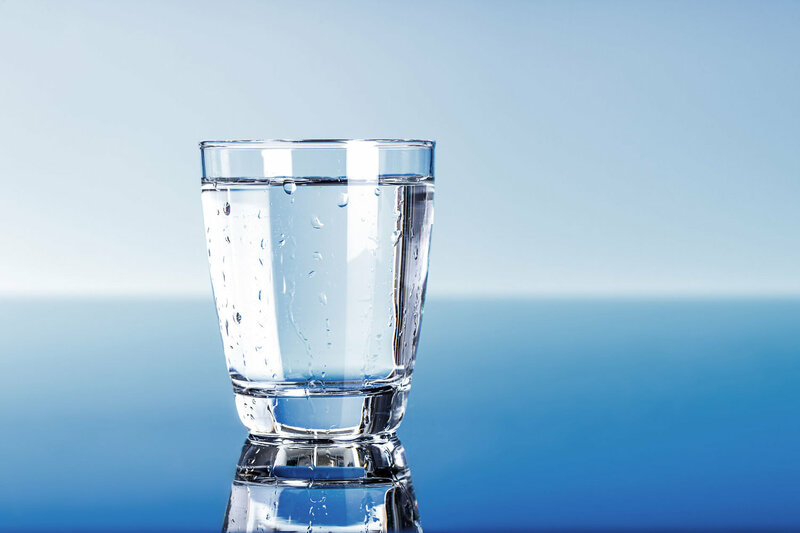 · Water– If you have a fever, it is easier to get dehydrated, so drink plenty of water as well as warm soups and herbal teas which all add to hydrating yourself. · Chicken soup- Chicken soup is a great choice when you’re sick. Research suggests that enjoying a bowl of chicken soup with vegetables, can slow the movement of neutrophils in your body (a white blood cell that help protect your body from infection). When they’re moving slowly, they stay more concentrated in the areas of your body that require the most healing. The study found that chicken soup was effective for reducing the symptoms of upper respiratory infections in particular. Garlic: This is a natural antibiotic, anti-fungal, and antibacterial. 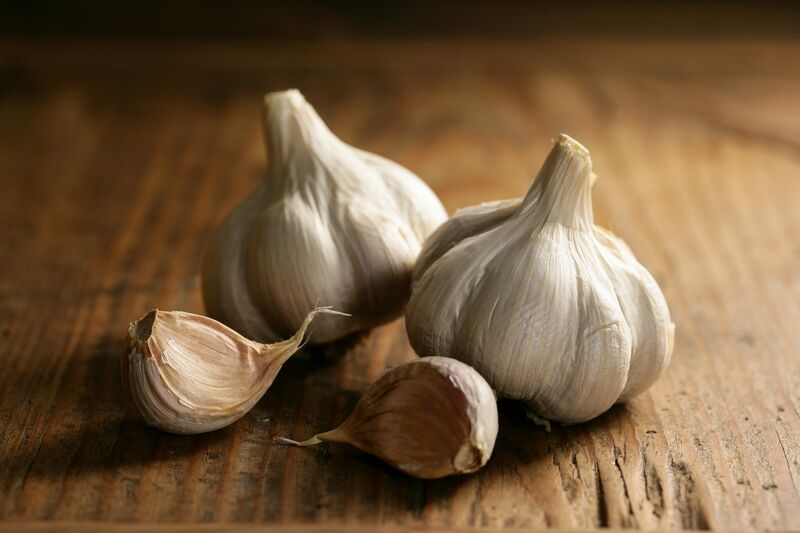 For the most potent effect, finely mince a clove of garlic and float in a small glass of water. Drink quickly — if you are sick enough, you won’t even notice the taste. NOTE: Pregnant women should not take more than 1 clove of garlic medicinally per day, and children often resist this remedy. · Onions and garlic on the feet at night–For those who can’t stomach chowing down raw garlic or for children, rub olive oil under your feet, place thinly sliced onion and garlic on one ply of tissue, fold it up like a parcel and place the thinnest layer of tissue on the bottom of the foot. Then wrap the foot in clingfilm and place a sock on overnight. 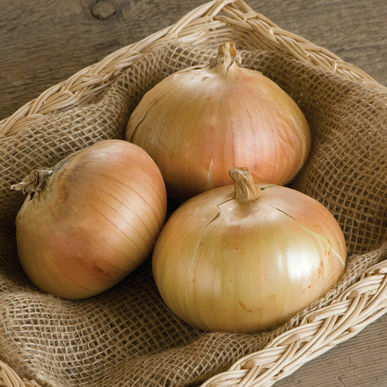 Onions and garlic have been shown to pull toxins and help the body heal. If a child has respiratory problems cutting an onion in half and placing it close (yet out of arms reach) in the room where they are sleeping, will aid their breathing and absorb any toxins in the room. Honey: Honey has a variety of antibacterial and antimicrobial properties. Drinking honey in tea with lemon can ease sore throat pain. Research suggests that honey is an effective cough suppressant. In one study, researchers found that giving children 10 grams of honey at bedtime reduced the severity of their cough symptoms. The children reportedly slept more soundly, which also helps reduce cold symptoms. You should avoid giving honey to a child younger than 1 year old, as it may contain botulinum spores. To make an effective honey cough syrup See ‘Recipes for Health’. Coconut Oil: Coconut oil has many health benefits and is known to boost the immune system. If sick, aim for 5-6 tablespoons per day in food or stirred and melted into hot tea. Probiotics: Probiotics are “friendly” bacteria and yeast that are found in your body, some foods, and supplements. They can help keep your gut and immune system healthy, and research indicates that probiotics may reduce your chance of getting sick with an upper respiratory infection. For a delicious and nutritious source of helpful bacteria, include probiotic yoghurt or kefir in your diet. Besides its potential benefits for your immune system, yogurt is a healthy snack that provides plenty of protein and calcium. Look for products that list live bacteria on the label. Fermented vegetables, such as sauerkraut and kimchi; and fermented teas such as kombucha, also contains a huge number of probiotics. Apple Cider Vinegar: It’s not the best tasting drink but if you are sick enough, you won’t taste it anyway. Drink a tablespoon of apple cider vinegar (the raw unfiltered kind) in water (gargle first!) at the first sign of illness and repeat hourly until symptoms disappear. This alkalises the body and helps kill viruses and bacteria. Vitamin D3: A hormone precursor, this vitamin is finally getting recognition as a necessary nutrient for health. Optimising vitamin D levels can help prevent illness in the first place, and taking several thousand IUs a day while sick can help speed recovery. Blood tests can help determine any underlying deficiency. Vitamin D3 works best when taken with vitamin K2. Vitamin C: Vitamin C plays an important role in your body and has many health benefits. Along with limes, oranges, grapefruits, leafy greens, and other fruits and vegetables, lemons are a good source of vitamin C. Adding fresh lemon juice to hot tea with honey may reduce phlegm when you’re sick. Drinking hot or cold lemonade may also help. Nettle Leaf: It contains large amounts of vitamins and trace minerals and helps the body stay hydrated and remove toxins. In a tea with red raspberry leaf, alfalfa, and peppermint herbals, it makes a powerful immune supporting and illness preventing remedy. Elderberry: Elderberry is well known for supporting the body, especially during flu. You can find conventionally made elderberry syrups at many stores now, or to save money, make your own (see ‘Recipes for Health’). When ill, take one tablespoon (adults) or one teaspoon (children) of elderberry syrup every 2-3 hours. Ginger:The health benefits of ginger root have been touted for centuries, but now we have scientific proof of its curative properties. It is naturally antimicrobial and anti-inflammatory. A few slices of raw ginger root in boiling water may help soothe a cough or sore throat. To make a cup of ginger tea, pour 500 ml boiling water over two tablespoons sliced fresh ginger and one tablespoon raw honey. Let steep for 15-20 minutes, strain and drink. This teapot of ginger tea can be sipped on all day. Yarrow: Unsurpassed for flu and fever, and great for children. If used abundantly in tea or tincture at the beginning of an illness, it will usually shorten the illness to less than 24 hours. It is especially good for fevers as it induces perspiration and is great for all childhood type illnesses. Yarrow is naturally bitter, so it is often good to include peppermint and stevia leaf when making a tea. It is great for the liver and kidneys and supports the endocrine system. Chamomile: An absolute staple, especially for kids. Chamomile calms the nerves, helps children sleep better, and reduces inflammation or fever. Soaking a chamomile tea bag in warm water and placing over an eye for 15 minutes every 2 hours will relieve pink eye in less than 24 hours. Chamomile tastes great and is easy to get kids to take. We use it in tea and tincture formula. It is also great for regulating hormones and for the skin and can be used regularly for good sleep. Peppermint: Great for all digestive disturbances and for lowering fever. It can be used as a tea or tincture or rubbed on the skin to bring a high fever down. This herb is antimicrobial and antiviral and kids usually love the taste. It can be consumed as a hot tea or cold tea during illness in any amounts. Echinacea: Native Americans have used the herb and root of the echinacea plant to treat infections for more than 400 years. Its active ingredients include flavonoids, which can boost your immune system and reduce inflammation. One review suggests that taking echinacea may lower your risk of developing the common cold by more than 50 percent. It may also reduce the length of a cold. If you’re a healthy adult, consider taking 1 to 2 grams of echinacea root or herb as a tea, three times daily, for no longer than one week. Salt Water - Gargling with salt water reduces and loosens mucus, which contains bacteria and allergens. It may also decrease the severity of cold symptoms by easing a sore throat pain and nasal congestion. Dissolve one teaspoon of salt in a full glass of water. Swish it around your mouth and throat. Gargle and then spit it out. Face Steam:Face Steaming is a good way to loosen congestion and kill viruses and bacteria in the lungs, bronchials, or sinuses. Boil 1-2 cups of water in a large pot. Remove from heat, add 2 teaspoons each of thyme, some rosemary, and oregano. Cover for 5 minutes with a lid, and then remove lid and put face directly over pot with towel covering your head to hold in the heat. Breathe in the steam as long as you can (aim for 15 minutes). Alternately, you can use 1/2 cups apple cider vinegar in the steam. It won’t smell great, but it will help fight the illness. Warm baths:Sometimes you can reduce a child’s fever by giving them a warm sponge bath. Warm baths can also reduce cold and flu symptoms in adults. A 20-minute soak in a warm bath with 1-2 cups of Epsom salt or magnesium flakes to the water can significantly ease body aches. Adding a few drops of essential oil, such as tea tree, juniper, rosemary, thyme, orange, lavender, or eucalyptus, may also have a healing, soothing effect. Humidifier: Influenza thrives and spreads more easily in dry environments. Creating more humidity in your home may reduce your exposure to this flu-causing virus. Increased humidity may also reduce nasal inflammation, making it easier to breathe when you’re sick. 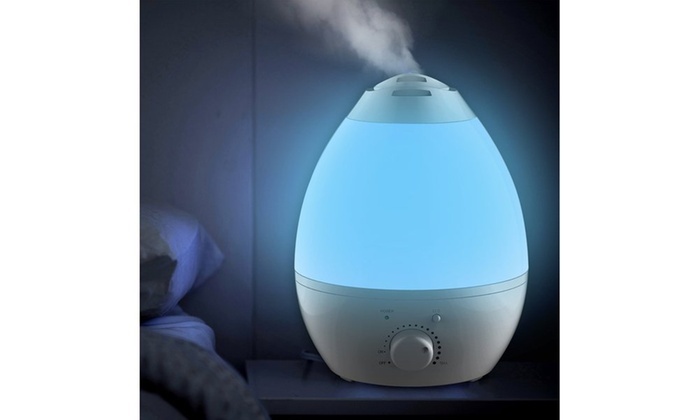 Temporarily adding a cool mist humidifier to your bedroom may help you feel more comfortable. This is especially true in winter, when dry indoor heat can exacerbate your symptoms. Adding a few drops of lavender and eucalyptus oil might also stimulate your breathing. Remember, the water used in humidifiers needs to be changed daily to stop mould and other fungi from growing. For the same effect without a humidifier, take a long shower or linger in a steamy bathroom. Vapour rub is an all-time favourite for easing sore throats and reducing cold symptoms. However, some store-bought varieties contain some harsh chemicals which could be detrimental to your health. Thankfully, there are vapour rubs out there made from natural ingredients and essential oils. Just one or two applications before bed can help open air passages to combat congestion, reduce coughing, and improve sleep. If the body is running a fever (which means it is fighting the illness) the best support you can give is to stay well hydrated on water and herbal teas and to rest enough. The body needs several extra hours of rest a day when ill. Getting enough sleep is also crucial to preventing illness, and even a couple nights of interrupted or not enough sleep can leave the body worn down and unable to resist illness. 8. When the honey is well mixed into the elderberry mixture, pour the syrup into a mason jar or 500ml glass bottle of some kind. 9. Store in the fridge. 1. Pour the water into a medium saucepan and add the dried herbs. 2. Bring to a boil and then reduce to a simmer. 4. Pour through a fine mesh strainer or cheesecloth to remove herbs (compost the herbs!). 5. While liquid is still warm (not boiling) mix with lemon juice and honey and stir well. 6. Store in airtight container in the fridge for up to 2 months. I have only touched upon a few natural options that can help you recover faster from a cold or flu. There are many more ways that people can treat their cold and flu symptoms with home remedies. Some of those remedies may seem a bit weird, but there are people and communities that swear by their effectiveness. Some folks have also had success with zinc supplementation, lymphatic massage, essential oils or putting peroxide in their ears. Everybody is different, and with natural medicine, there is no one remedy that’s going to work on everyone. It’s going to require some trial-and-error on your part to find out which remedies work and which remedies are reasonable to add to your already hectic life. If you still feel sick after a few weeks, make an appointment with your doctor. If you have trouble breathing, have a rapid heartbeat, feel faint, or experience other severe symptoms, get medical help sooner. Milk thistle is an herbal remedy derived from the milk thistle plant (which has the scientific name Silybum marianum). Milk thistle gets its name from the milky-white liquid that runs off of the plant’s leaves when they’re crushed. The actual leaves of the plant also have a spotted white pattern that makes them look as if they have been dipped in milk. Milk thistle has been used in traditional herbal medicine for a long time, with references dating back to the first century. In Roman times, Pliny the Elder wrote about the effective power of milk thistle. The Greek physician and botanist Dioscorides was the first to describe milk thistle’s healing properties back in the year 40 A.D. He mentioned milk thistle tea as a remedy for snakebites. In the sixteenth century, John Gerard wrote in his ‘Anatomie of Plants’ that milk thistle could help with depression and emotional distress. Europeans continued to use milk thistle for this purpose. At that time, people consumed all parts of the plant, including the roots and the milk of the herb. Later, in the seventeenth century, physician and herbalist Nicolas Culpeper claimed that milk thistle can help the liver by unblocking it, when necessary, and could also help cure jaundice. In the 1800’s, people used milk thistle for additional ailments, including irregular menstruation, varicose veins, kidney, liver and spleen problems. Today, milk thistle is still an effective cure for these ailments. Milk thistle is native to Europe, the Middle East, North Africa, and parts of the Mediterranean. However, it can be found around the world. Silybum marianum is a member of the aster family which includes the daisies and sunflowers, such as artichoke. Many gardeners consider it a weed due to the speed with which it grows. Milk thistle can grow to be ten feet high, and its stem has spines and thorns. The purple flowers can each contain up to 190 seeds, which have the most medicinal benefit as they contain silymarin, the active ingredient in milk thistle extract. Silymarin is composed of several other active compounds known as flavonolignans. The root, leaf and seed have medicinal uses, but the flavonolignans in the seed are its most widely used form today. Milk thistle is best known for its positive effect on liver health, but studies are looking into other possible benefits too. However, always talk to your doctor before taking any supplements. Keep reading to learn some of the ways researchers think milk thistle may be able to help improve your health. 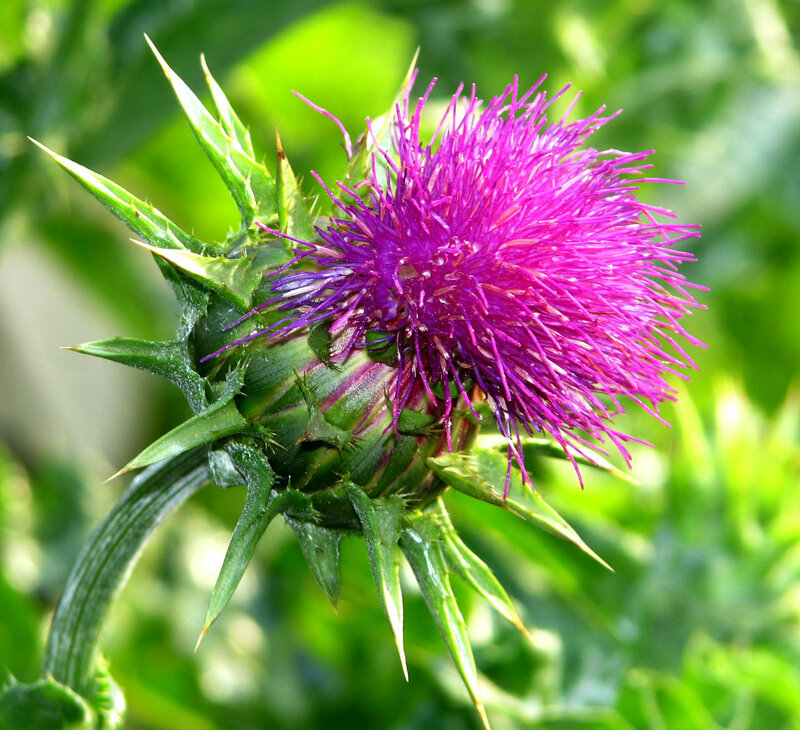 Milk thistle benefits by drawing toxins out of the body and protecting the liver from damage. Silymarin has been used in traditional medicine as a natural remedy for diseases of the liver because of its potent antioxidant activity. It is effective at naturally reversing the harmful effects of alcohol consumption, pesticides in our food supply, heavy metals in our water supply, pollution in the air that we breathe and even poisons. It’s regularly used as a complementary therapy by people who have liver damage due to conditions like alcoholic liver disease, non-alcoholic fatty liver disease, hepatitis and even liver cancer. Studies have shown improvements in liver function in people with liver diseases who have taken a milk thistle supplement, suggesting it could help reduce liver inflammation and liver damage. About 50-70% of the silymarin molecules present within milk thistle are the type called silybin, also known as silibinin. This antioxidant stimulates protein synthesis and changes the outside layer of healthy cells, keeping them protected from damage and mutation. Silibinin inhibits toxins from dwelling in the body; helps with cell renewal; and counteracts the harmful effects of pollutants, chemicals and heavy metals that can cause free radical damage. Thus, the herb may actually help slow the aging process. This applies to both the surface of your skin and your organs, as antioxidants can protect your body from chronic disease. Its anti-inflammatory and antioxidant properties mean that it is possibly neuro-protective and could help prevent the decline in brain function you experience as you age. However, it’s unclear whether milk thistle is absorbed enough in people to allow adequate amounts to pass through the blood-brain barrier. It’s also unknown what doses would need to be prescribed for it to have a beneficial effect. Silymarin is associated with decreasing the risk for cancer development by boosting the immune system, fighting DNA damage and reversing cancerous tumour growth. In 2007 researchers at the University of Minnesota found that there is strong preclinical evidence for silymarin’s hepato-protective and anti-carcinogenic effects, including inhibition of cancer cell growth in human prostate, skin, breast, and cervical cells. Some animal studies have shown that milk thistle could be useful for reducing the side effects of cancer treatments. It may make chemotherapy work more effectively against certain cancers and, in some circumstances, even destroy cancer cells. The studies in humans are very limited and have yet to show a meaningful clinical effect in people. Milk thistle is reported to boost breast milk production in lactating mothers. It’s thought to work by making more of the milk-producing hormone prolactin. One randomised controlled study found that mothers taking 420 mg of silymarin for 63 days produced 64% more milk than those taking a placebo. More research is needed to confirm these results and the safety of milk thistle for breastfeeding mothers. Interestingly, one study found that people with acne who took 210 grams of silymarin per day for 8 weeks experienced a 53% decrease in acne lesions. Other possible health benefits include lowering high cholesterol, supporting weight loss, reducing insulin resistance, improving allergic asthma symptoms, improving cognitive function, and supporting bone health. The leaves and stalks of the Milk thistle were at one time used in salads, soups and pies, with the leaves surpassing the finest of cabbage. The heads were also eaten, in most cases they were boiled and treated like those of the Artichoke. The seeds and leaves of the milk thistle plant can be consumed either in capsule, powder, tincture, extract or tea form. The seeds can actually be eaten completely raw, too, but usually people prefer to take a milk thistle extract or supplement in order to consume a higher dose and see bigger results. The suggested dosage is a total of 420 mg per day. Each capsule should contain at least 70 percent silymarin. Carefully read any directions and dosages listed on the label of the specific brand that you buy. Dosages may vary. You can also drink up to six cups of milk thistle tea each day. · Cirrhosis: Silymarin, 280 to 450 mg per day in two or three divided doses. · Chronic hepatitis:Silipide or silipide equivalents, 160 to 480 mg per day or silymarin 420 mg per day, in three divided doses. · Acute viral hepatitis:Silymarin, 420 mg daily in three divided doses. · Drug/toxin-induced hepatotoxicity:Silymarin 280 to 420 mg daily in three divided doses; but up to 800 mg/day can be considered. Milk thistle is generally considered safe when taken by mouth. In fact, in studies where high doses were used for long periods, only about 1% of people experienced side effects. When reported, side effects for milk thistle are generally gut disturbances like diarrhoea, nausea or bloating. · Pregnant women:There is no data on its safety in pregnant women, so they are usually advised to avoid this supplement. · Those allergic to the plant:Milk thistle may cause an allergic reaction in people who are allergic to the Asteraceae/Compositae family of plants, or to daisies, artichokes, common thistle or kiwi. If an anaphylaxis reaction should occur with any of the above plants, then milk thistle should be avoided altogether. · People with diabetes:The blood sugar-lowering effects of milk thistle may put people with diabetes at risk of low blood sugar. Milk thistle can lower fasting glucose and haemoglobin A1c. · Those with certain conditions:Milk thistle can have estrogenic effects, which may worsen hormone-sensitive conditions, including some types of breast cancer. · Those taking certain medications:Milk thistle should be used with caution in patients taking medications metabolised by the cytochrome P450 system and in patients who are taking hypoglycemic agents. Milk thistle has been used medicinally all around the world. Many of civilization’s earliest botanists and pharmacists in ancient Greece and Rome used milk thistle to aid in bile-related problems; later in Europe it was used to treat everything ranging from depression to venomous bites; in Traditional Chinese Medicine it is said to clear heat and remove toxicity. Milk thistle is most well-known for being a natural liver supporter and detoxifier. It could decrease, or even reverse damage to the liver that has been caused by prescription medications, alcohol use, antibiotics, pollution and heavy metals. Promising research is showing that it could treat many of the major health problems we have today, such as diabetes, heart disease, osteoporosis, cancer and even slow down the ageing process. It’s still early days yet and more research is warranted to discover its full potential. Cannabis plants are exceptionally versatile. 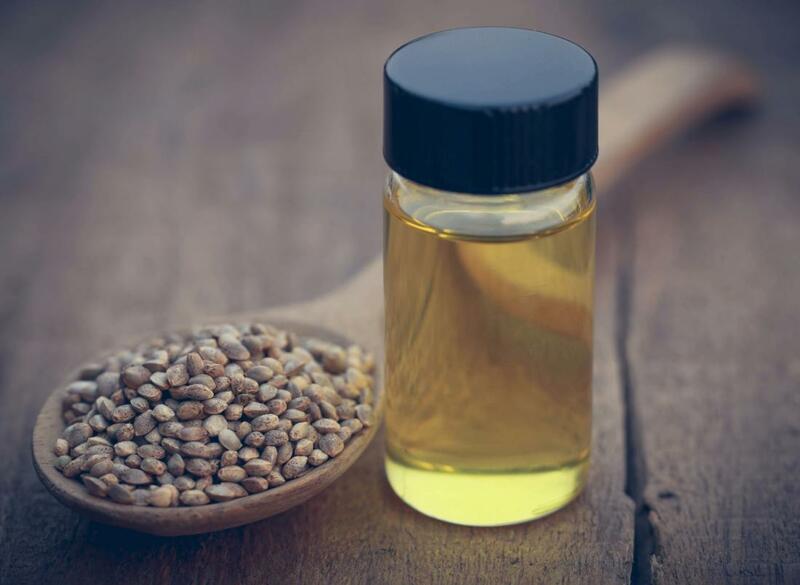 Both the seeds and cannabis oil were used for food in China as early as 6,000 BC. Hemp was one of the first fibre plants to be used before the widespread use of cotton. In 4,000 BC, there is evidence of textiles made from hemp (cannabis) used in both China and Turkestan. In 850, the Vikings transported hemp rope and seeds to Iceland, and by the year 900, Arabs were learning techniques for making paper from hemp. By 1000 (1018 years ago), Italians were using ropes made of hemp on their sailing ships. The Mona Lisa is in fact painted on a hemp canvas. The first model T ford had a hemp fire interior and ran on hemp fuel. You could even pay tax with hemp at one point in time. Nowadays hemp fibres are more commonly found in clothing and jewellery. Stories about the healing properties of hemp (cannabis) mention Greek philosophers, Herodotus, Napoleon and other legendary figures. The physician for Nero’s army, for example, included cannabis in his medical inventory. In 1563, the medicinal benefits of cannabis were discussed in a report by Portuguese physician Garcia da Orta. A few years later, China's Li Shih-Chen documented the antibiotic and anti-nausea effects of cannabis. It has been documented for its use with pain relief during childbirth and toothache through medieval German and Viking times. In ancient India cannabis was regarded as a gift of the gods used excessively in folk medicine. It was believed to quicken the mind, prolong life, improve judgement, lower fevers, induce sleep and cure dysentery. Queen Victoria would use cannabis to alleviate menstrual cramp and relied on it frequently. During the 1800s, cannabis and its extracts made up over 50% of medicine across the USA and Europe. Cannabis Indica was primarily used for medical purposes as it was known also for its relaxing and calming effect. It was a common ingredient in medicines, found in almost every pharmacy and medical clinic until 1937 when the plant was deemed illegal by the Marijuana Tax Act despite later objections from the American Medical Association. Despite the damaging publicity for cannabis, many scientists continued to research this plant for its therapeutic purposes. Cannabidiol (CBD) is one of the 100+ cannabinoids found in cannabis and has been the subject of much research due to its many and varied medical applications. The compound is also non-psychoactive (meaning it does not produce the ‘high’ associated with cannabis use), making it a safe and effective option for patients who may be concerned about the mind altering effects of other cannabinoids such as THC (tetrahydrocannabinol). The first person who was successful in extracting CBD from the Cannabis Sativa plant was a chemist named Roger Adams in 1940. He wasn’t aware that he succeeded in extracting a chemical compound, but years later Adams and other scientists realised what he had done and started researching the possible benefits of CBD. In 1946, Dr. Walter S. Loewe conducted the first CBD test on lab animals. These tests gave proof that CBD doesn’t cause an altered mental state. That same year Dr. Raphael Mechoulam identified CBD’s three dimensional structure. Further research continued in the 1960s on primates and it didn’t take long to realise that THC, not CBD, was the one that was responsible for causing the sedated, intoxicating cerebral effects of the herb which was considered illegal. In the early to mid-1970’s, the British Pharmacopoeia (which is a publication of quality standards for medicinal substances in the UK) released a licensed cannabis tincture that contained CBD in a full-spectrum oil for therapeutic use. It is important to note that while medical research was progressing for CBD, cannabis was also being selectively grown for the highest THC levels, as the high became sought after for recreational use in illegal trade. Strains of cannabis were also being bred to have higher levels of THC and lower CBD as the CBD reduces the effect of the high. Nonetheless, Dr. Mechoulam made another breakthrough in CBD history in 1980, when he ran a study which showed CBD could be a key factor in treating epilepsy. In 1998, a medical company called GW Pharmaceuticals, based in the UK, began to cultivate cannabis for medical trials. Their aim was to develop a concise and consistent plan for extracting CBD. Geoffery Guy, one of the company’s founders, staunchly believed that cannabis plants rich in CBD would be used as medicine. Early animal studies showed that CBD lessened anxiety and reduced the frequency and severity of seizures. This turned heads in the medical community, and cannabis strains began to be cultivated with extremely low levels of THC and high levels of CBD. Oils that are CBD dominant are referred to as CBD oils. However, the exact concentrations and ratio of CBD to THC can vary depending on the product and manufacturer. Nonetheless, CBD oils have been shown to offer a range of health benefits that could potentially improve the quality of life for patients around the world. · The human body contains a specialised system called the endocannabinoid system (ECS), which is involved in regulating a variety of functions including sleep, appetite, pain and immune system response. · The body produces endocannabinoids, which are neurotransmitters that bind to cannabinoid receptors in your nervous system. · CBD is believed to help regulate that system by binding with various receptors located within cell and tissue systems. Those receptors are referred to as CB1 and CB2. · Studies have shown that CBD may help reduce chronic pain by impacting endocannabinoid receptor activity, reducing inflammation and interacting with neurotransmitters. 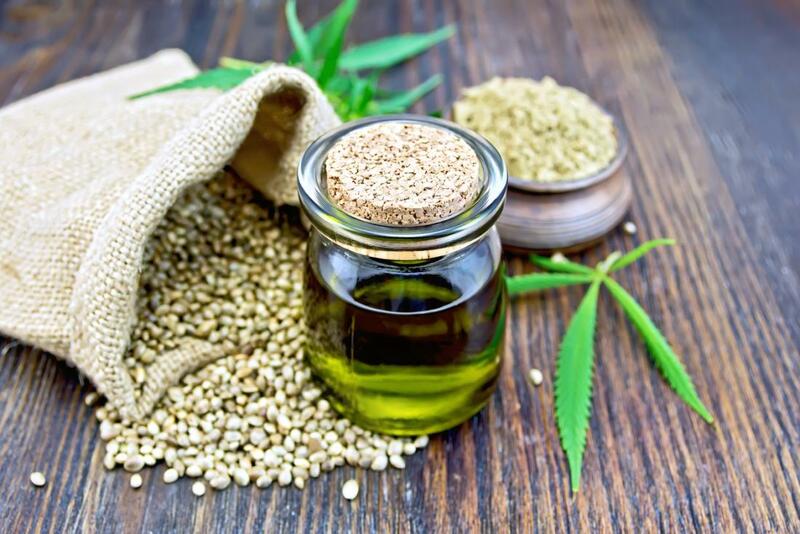 · For example, one study in rats found that CBD injections reduced pain response to surgical incision, while another rat study found that oral CBD treatment significantly reduced sciatic nerve pain and inflammation. · Several human studies have found that a combination of CBD and THC is effective in treating pain related to multiple sclerosis and arthritis. · An oral spray called Sativex, which is a combination of THC and CBD, is approved in several countries to treat pain related to multiple sclerosis. · In a study of 47 people with multiple sclerosis, those treated with Sativex for one month experienced a significant improvement in pain, walking and muscle spasms, compared to the placebo group. · Another study found that Sativex significantly improved pain during movement, pain at rest and sleep quality in 58 people with rheumatoid arthritis. · A randomised, double-blind, placebo-controlled trial published in The New England Journal of Medicine explored the effect of CBD medication on young adults with Dravet syndrome, a rare type of epilepsy with seizures that are often induced by fever. Those who received CBD saw their seizure frequency drop by a median of 38.9 percent. · Another study gave 214 people with severe epilepsy 2–5 grams of CBD oil per kg of body weight. Their seizures reduced by a median of 36.5%. · However, it’s important to note that some people in both these studies experienced adverse reactions associated with CBD treatment, such as convulsions, fever and diarrhoea. · In a study, 24 people with social anxiety disorder received either 600 mg of CBD or a placebo before a public speaking test. The group that received the CBD had significantly less anxiety, cognitive impairment and discomfort in their speech performance, compared to the placebo group. · CBD oil has even been used to safely treat insomnia and anxiety in children with post-traumatic stress disorder. · CBD has also shown antidepressant-like effects in several animal studies. · These qualities are linked to CBD’s ability to act on the brain’s receptors for serotonin, a neurotransmitter that regulates mood and social behaviour. · One study looked at the effects of CBD and THC in 177 people with cancer-related pain who did not experience relief from pain medication. Those treated with an extract containing both compounds experienced a significant reduction in pain compared to those who received only THC extract. · CBD may also help reduce chemotherapy-induced nausea and vomiting, which are among the most common chemotherapy-related side effects for those with cancer. · A study of 16 people undergoing chemotherapy found that a one-to-one combination of CBD and THC administered via mouth spray reduced chemotherapy-related nausea and vomiting better than standard treatment alone. · Some test-tube and animal studies have even shown that CBD may have anticancer properties. For example, one test-tube study found that concentrated CBD induced cell death in human breast cancer cells. · Another study showed that CBD inhibited the spread of aggressive breast cancer cells in mice. · However, these are test-tube and animal studies, so they can only suggest what might work in people. More studies in humans are needed before conclusions can be made. · One recent study treated 10 healthy men with one dose of 600 mg of CBD oil and found it reduced resting blood pressure, compared to a placebo. · The same study also gave the men stress tests that normally increase blood pressure. Interestingly, the single dose of CBD led the men to experience a smaller blood pressure increase than normal in response to these tests. · Researchers have suggested that the stress- and anxiety-reducing properties of CBD are responsible for its ability to help lower blood pressure. · Additionally, several animal studies have demonstrated that CBD may help reduce the inflammation and cell death associated with heart disease due to its powerful antioxidant and stress-reducing properties. · For example, one study found that treatment with CBD reduced oxidative stress and prevented heart damage in diabetic mice with heart disease. CBD and THC are the power couple of cannabis therapeutics; they work best together. CBD and THC interact synergistically to potentiate each other’s curative qualities. CBD enhances THC’s painkilling and anticancer properties, while lessening THC’s psychoactivity. CBD can also mitigate adverse effects caused by too much THC, such as anxiety and rapid heartbeat. When both compounds are present in sufficient amounts in the same cannabis strain or product, CBD will lower the ceiling on the THC high while prolonging its duration. CBD is most commonly taken orally in a concentrated paste or drops/tincture format. To take CBD oil first hold it under the tongue to be absorbed in the mouth prior to swallowing. This step is important because some of the CBD taken will be broken down by the digestive system. Other oral methods include capsules, mouth strips, and edibles such as chocolate bars. Many people also enjoy using CBD vape oil or CBD eliquid via vaporisers or inhalers as this is a near instant delivery method that can be quite effective. Others use CBD oil by taking it through the skin via lotions, balms, creams or patches. There are many ways to take CBD oil, what matters most is trying a few different approaches and seeing what works. The right CBD dosage differs per person. This is caused by the fact that every person has a different endocannabinoid system. An effective dosage can range from as little as a few milligrams of CBD-enriched cannabis oil to a gram or more. Begin with a small dose of high CBD/low THC oil, especially if you have little or no experience with cannabis. Take a few small doses over the course of the day rather than one big dose. Use the same dose and ratio for several days. Observe the effects and if necessary adjust the ratio or amount. Don’t overdo it. Cannabis compounds have biphasic properties, which means that low and high doses of the same substance can produce opposite effects. Small doses of cannabis tend to stimulate; large doses sedate. Too much THC, while not lethal, can amplify anxiety and mood disorders. CBD has no known adverse side effects, but an excessive amount of CBD could be less effective therapeutically than a moderate dose. “Less is more” is often the case with respect to cannabis therapy. Keep the bottle of oil in a dark and cool place, for instance in the refrigerator. · Start on the first day by taking 1 drop of CBD oil in the morning and 1 in the evening under the tongue for 30 seconds then swallow. · Increase this amount with 2 drops per day during the first 3-4 weeks. · Don’t take the drops all at once, but spread the usage evenly over the day, for instance in the morning, in the afternoon, in the evening and before you go to bed. · If you think the dose is too low, you should increase the number of drops until the dose feels right for you. · You should experiment a little, just try to examine what you are feeling and whether you think it’s the right dose for you. After a certain amount of time, you will have found the right dosage. · To reach a certain mg dose look carefully at how many drops are needed for each CBD brand. To treat chronic pain:2.5-20 mg CBD by mouth for an average of 25 days. To treat epilepsy:200-300 mg of CBD by mouth daily. To treat movement problems associated with Huntington's disease:10 mg per kilogram of CBD by mouth daily for six weeks. To treat sleep disorders:40-160 mg CBD by mouth. To treat multiple sclerosis symptoms:Cannabis plant extracts containing 2.5-120 milligrams of a THC-CBD combination by mouth daily for 2-15 weeks. A mouth spray might contain 2.7 milligrams of THC and 2.5 milligrams of CBD at doses of 2.5-120 milligram for up to eight weeks. Patients typically use eight sprays within any three hours, with a maximum of 48 sprays in any 24-hour period. To treat schizophrenia:40-1280 mg CBD by mouth daily. To treat glaucoma:a single CBD dose of 20-40 mg under the tongue. Doses greater than 40 mg may actually increase eye pressure. *These are merely guidelines. It is extremely important to read the dosage instructions on the CBD oil you are taking, especially as results from certain dosages may affect you differently than others. It is always best to contact the CBD oil company to ask them the right dosage for your medical condition and consult with your doctor before embarking on any new treatment. Side effects of CBD include sleepiness, decreased appetite, diarrhoea, fatigue, malaise, weakness, sleeping problems, and others. It does not have intoxicating effects like those caused by THC, and may have an opposing effect on disordered thinking and anxiety produced by THC. Cannabis has had a widespread reach throughout history, used as a medicinal healer, domestic purposes, pain killer and for spirituality, so it seems strange how it managed to stay illegal for the majority of the 20th century. When it comes to healing, people use products such as CBD oil, CBD water and various CBD lotions to try and treat pain, inflammation, depression, anxiety, stress, neurological conditions and many other illnesses. The endocannabinoid system is extremely complex. This is a physiological system in your body that´s important for the improvement and maintenance of different physical and mental processes. While the exact way CBD affects this system still remains a mystery to most researchers, what we do know is that every person has a different endocannabinoid system, and therefore while the instructions on a CBD oil bottles may be informative and clear, the standard dosing may affect two different people in completely different ways. CBD oil is not a miracle cure. It can take time to work. The key is finding the right dosage. If you are just starting out with CBD oil, then remember to start small and to consult with your doctor. It’s important to know how your body reacts to CBD. Increase the dosage gradually and if you feel that the CBD oil isn’t affecting you in a positive way, then you should stop and consult with a medical professional. Spilt Milk and Dairy-Free – Is it Worth Crying Over? Milk is as ancient as mankind itself as it is produced by all species of mammal, from man to whales as the perfect source of nourishment for their young. The first reports of human consumption of other mammalian milks date back as early as 6000-8000 BC. At this time ancient man learned to domesticate species of animals initially for the provision of meat, and then later for the provision of milk for general consumption. Mammals used for milk production included cows, buffalo, sheep, goats, and camels, all of which are still used in various parts of the world for the production of milk for human consumption today. In this modern era, industrialisation and urbanisation meant the supply of milk became a commercial industry, with specialised breeds of cattle being developed for dairy. Initially, more people were employed as milkers, but it soon turned to mechanisation with machines designed to do the milking. Dairy plants receive and process raw milk they receive from farmers. They extend its marketable shelf life by heat treatment through pasteurisation, which removes enzymes and bacteria that would spoilt or sour the milk for human consumption. They would also produce other dairy products such as cheeses, yogurts, butters, creams and ice creams. Most babies can digest milk without getting an upset stomach thanks to an enzyme called lactase. Lactase is needed to break down lactose, the sugar in milk. Some say that up until several thousand years ago, that enzyme turned off once a person grew into adulthood and did not require as much milk to nutritionally sustain them. This meant that most adults were lactose intolerant. Studies have shown that people who consumed milk in its unprocessed form were usually nomads who did not settle down for long enough to make cheese out of the milk. Overall, these population-based and anthropological studies have shown that adult populations have adapted to milk consumption over many years. In northern Europe, particularly Britain and Germany, unprocessed milk was consumed. However, milk consumption in adults was not common in southern European countries such as Italy. Even today, lactose intolerance is less relatively prevalent in the British, German and Scandinavian populations. Genetic mutations seem to be at the root of this evolved lactose tolerance. Some studies have shown that a single genetic mutation occurred in around 4500 BC that spread worldwide. Another mutation could have come from the East African Tutsi population. The mutation has led to the populations of Northern Europe and India developing lactose tolerance so that they can safely consume milk and milk products. On the other hand, populations in sub-Saharan African, southern Europe and people native to America and the Pacific Islands do not continue to possess lactase into adulthood and are lactose intolerant. It’s interesting to know the geographical differences in lactose sensitivity which explains why some regions have more people with lactose intolerance compared to others. This brings us onto the reasons why dairy-free diets are chosen and why it could benefit some more than others. Dairy products such as milk, cheese, and yogurt do contain essential nutrients, such as calcium, potassium, phosphorus, protein, vitamins A, D and B12, riboflavin, and niacin. However, for some, its harm outweighs its benefits. Dairy-free constitutes to removing milk, cheese, butter, cream cheese, cottage cheese, sour cream, custards and puddings, ice cream, gelato and sherbet, whey and casein, and other products that contain milk. People who are lactose intolerant may choose to reduce or eliminate foods that contain lactose. Some may be able to have smaller portions of foods containing milk proteins, and they may find that fermented dairy is easier on their digestive systems. People with a cow’s milk food allergy, on the other hand, must completely eliminate milk proteins from their diets and find food allergy alternatives that provide calcium and other vital nutrients. · Lactose intolerance is a problem for many causing symptoms such as bloating, gas, nausea, vomiting and diarrhoea. · There are some that have a good amount of lactose-breaking enzyme lactase but are still unable to tolerate milk and dairy. · Research suggests that proteins found in dairy can also have a significant impact on digestion, and that lactose may not be the only cause of gastrointestinal issues in those with an intolerance. · A study published in the Nutrition Journal revealed that the A1 protein, found in cow’s milk, was to blame for triggering symptoms of milk intolerance. · Scientists discovered that by removing the A1 beta casein protein, leaving just the A2 beta casein, sufferers were able to drink milk without gastrointestinal symptoms. · Dairy has also been labelled as a key trigger of IBS symptoms and other digestive conditions. · Milk and dairy products have been extensively promoted as strengthening bones, but research begs to differ. · A 12-year prospective study published in the American Journal of Public Health found that drinking 2+ glasses of milk per day in fact increased women's risk of hip fracture by 45%. Those drinking 3+ glasses per day had a 60% greater hip fracture rate. · For truly strong bones, eat more fruits and vegetables: women eating twice the fruit had 5% denser bones. · A 2001 study conducted at Harvard School of Public Health found that a high calcium intake, mainly from dairy products, may increase prostate cancer risk by lowering concentrations of a hormone thought to protect against prostate cancer. · Another study in 2011 found that drinking milk each day during adolescence, increased their risk of advanced prostate cancer by at least threefold. · Another study, which analysed women from 40 countries across five continents, found that milk was closely connected to ovarian cancer. It revealed that consuming milk plus cheese showed the highest incidence of ovarian cancer. Women who drank just 1+ glass of whole milk per day were at three times greater risk for ovarian cancer. · Milk consumed today is produced from pregnant cows rather than pasture-fed. Oestrogen and progesterone levels are markedly elevated in these cows. · Milk products may also contain contaminants, such as pesticides, which have carcinogenic potential, and growth factors, such as insulin-like growth factor 1, which have been shown to promote breast cancer cell growth. · While dairy can increase risk, vegetables can reduce it. Eating 3+ servings of vegetables per day dropped the risk of ovarian cancer by 39%. Cow’s milk-free alternatives also include goats milk which is high in fatty acids and more easily absorbed and assimilated in the body than cow’s milk. The actual fat particles in goats milk are smaller and contain lower concentrations of lactose. Fermented dairy options include kefir and amasai, which are often more easily digested, even by people with lactose intolerance. Ghee is another option that’s clarified and easily digested by people with a lactose and casein sensitivity. · You can find soy- and nut-based versions of cream cheese, as well as a dairy-free, gluten-free and soy-free versions made from a blend of vegetable oils, tapioca starch and pea protein isolate. · You can also make homemade cream cheese or soft crumbly cheese using cashews, macadamia nuts, Brazil nuts or almonds. · And if you're simply trying to mimic the texture of cottage and ricotta cheeses, then you could use crumbled soft tofu as a replacement. · Vegan cheeses are often highly processed and offer less protein than dairy cheese. However, you can also make homemade substitutions with whole foods like tofu, nuts and nutritional yeast. · Most brands use soy protein or nuts as a base, although there are some soy- and nut-free varieties that are made from vegetable oils mixed with pea starch or pea protein. 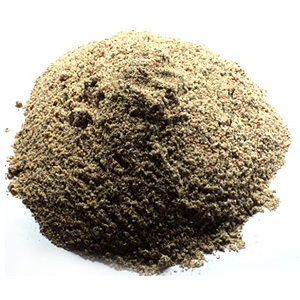 · Many people find nutritional yeast to be a good flavour substitute for grated Parmesan cheese. · You can also make your own version by processing nuts and nutritional yeast with desired spices. · Added sugars:Many non-dairy products contain added sugars to enhance flavour and texture. While the sugar content is sometimes similar to that of regular dairy products, other times it can be much higher. · Fillers:It is common for non-dairy cheeses and yoghurts to use a variety of additives in order to improve the texture of the product. While they aren't necessarily unhealthy, many people prefer more natural products. · Protein content:Dairy cheeses, milk and yogurt deliver complete protein. However, the only plant-based replacement that mimics that level and quality of protein is soy. · Nutrient content:Dairy products deliver potassium and calcium. Fortified non-dairy products may also offer these and other micronutrients, depending on the brand. Homemade products won't be fortified. · Intolerances:Some people have allergies or intolerances to certain ingredients used in non-dairy replacements, such as soy or nuts. Fillers, such as inulin, can also be difficult for people to digest, causing bloating and flatulance. 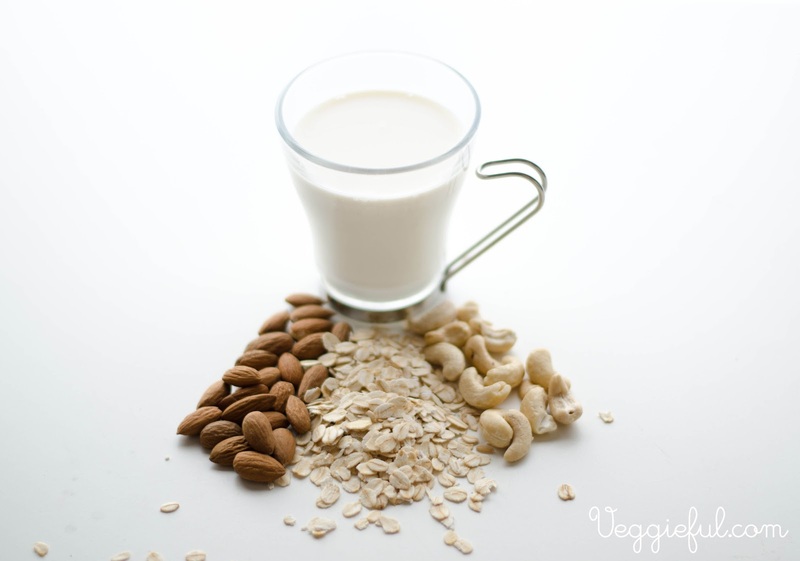 · Price differences:Non-dairy alternatives often come with a higher price tag. On the other hand, this could be an incentive to make your own non-dairy substitutes. Always read labels to see what ingredients and nutrients are in the product you're buying. From the white elixir which we were all dependent on as babies to the white flag which we now have to surrender to in adulthood, this seemingly pure looking liquid has now become subject to scrutiny in recent times. The evolution of the man-made milk production to industrialised machinery milk extraction may play a role into why lactose sensitivity is on the rise. It could also be due to the pasteurisation or homogenisation process which changes the composition of milk making it difficult for the body to digest. Other reasons for the rise in milk -related sensitivities could be the abnormally high hormones and contaminants that are making more and more people sick and search for alternative ways to treat diseases. From this, sufferers have now become more open to removing milk and dairy products from their diet and find tasty replacements for enjoying that creamy texture. Going dairy-free has its benefits. It has shown to alleviate digestive problems, reduces your risk of certain cancers and could even slow down brittle bones in women. It makes sense to limit conventional dairy products and choose from the numerous delicious alternatives on offer. Better yet, make your own! Milk, dietary calcium, and bone fractures in women: a 12-year prospective study. Am J Public Health. 1997 Jun;87(6): 992-7. Potassium, magnesium, and fruit and vegetable intakes are associated with greater bone mineral density in elderly men and women. Am J Clin Nutr. 1999 Apr;69(4):727-36. Fruit and vegetable consumption in relation to ovarian cancer incidence: the Swedish Mammography Cohort. Br J Cancer.2004 Jun 1;90(11):2167-70. From spelt in the Bronze Age to baked goods in modern grocery stores, wheat - and its protein component, gluten - has been an important part of our meals throughout the ages. Yet the gluten-free diet - a diet that excludes the gluten found in grains such as wheat, barley, rye - has become increasingly popular due to fears of gluten sensitivity and digestive problems. However, it is overlooked that gluten is a natural component of most whole grains, and we’ve been consuming it since we first started cultivating these grains over 8000 years ago. 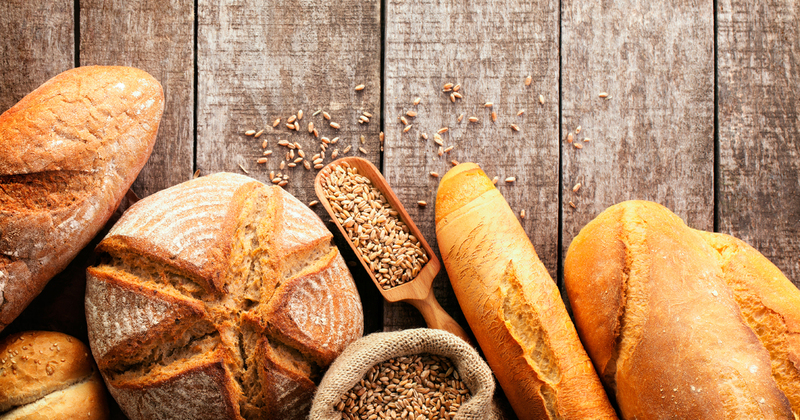 Gluten is a Latin word that means “glue,” due to its ability to hold grains like wheat, barley, and rye together. It’s the protein that gives pasta, bread, and other wheat products their chewy, flexible texture. It’s also critical in making dough rise in the oven, resulting in leavened bread. So what is causing the rise in gluten intolerance and the need for a gluten-free diet? - In the last 50 years, the wheat grain has been altered to provide crops that are more resistant to drought, to resist fungal diseases and pest attacks, to improve ease of mechanical harvesting and meet the increased demands of baking goods. We are eating more wheat products now than ever before. - The use of harmful chemical additives and dough “improvers” necessary to produce consistent products in industrialised food production. The cheapest ingredients are also used and time spent in actual production itself is cut to maximise profits. Therefore the wheat grain is not able to develop fully and ferment naturally which may aid in the reduction of the harmful gluten. - Damaged gut flora or dysbiosis is also on the rise due to the high usage of antibiotics or consuming food that they can’t digest. The immune system may see the undigested gluten as a microbial invader and attack them. - Genetics may also play a part, somewhat smaller than others. Diseases are a combination of genetics and environmental factors. So, people react differently in their reactions to these changes. - Other factors are also mentioned such as a disturbed microflora in our gut, use of microwaves and plasticware, being born via caesarean section and contracting intestinal infections. Researchers have recently learned that the primary culprit in coeliac disease and gluten-intolerance is a particular peptide strand in the gluten molecule, not the gluten itself. This peptide strand was theoretically not present in ancient grains. Thus, coeliac disease is a disease of chronic inflammation of the small intestine due to this peptide strand, known as gliadin (found in modern wheat, rye and barley). Antibodies in the sufferer’s small intestine react to these ingested peptides by attacking them. This, in turn, irritates the gut and damages the finger-like structures along the intestinal wall known as microvilli. Without those microvilli, the absorption of nutrients from food is considerable less. This leads sufferers to experience symptoms of malabsorption, including chronic fatigue, neurological disorders, nutrient deficiencies, anaemia, nausea, skin rashes, depression, and more. Going gluten-free means excluding wheat, rye and barley from your diet if you appear to have a gluten sensitivity or have been diagnosed with coeliac disease. For some, cutting gluten out of the diet can come with big benefits when it comes to health. A gluten-free diet could increase fat burning, provide a burst of extra energy, reduce inflammation, and ease digestive symptoms like gas, bloating or diarrhoea. For others, going gluten-free could even be the key to reducing behavioural issues and improving symptoms of autism and irritable bowel syndrome. · Going gluten-free could improve digestive issues such as bloating, gas and diarrhoea. · A study in the American Journal of Gastroenterology looked at the effects of gluten on adults with non-coeliac gluten sensitivity. After eating gluten daily for six weeks, participants reported a worsening of symptoms like poor stool consistency, pain, bloating and fatigue. · Many cases of neurological illness may be caused and/or exacerbated by gluten consumption. This is called gluten-sensitive idiopathic neuropathy. · The main neurological disorder believed to be at least partly caused by gluten is cerebellar ataxia, a serious disease of the brain that involves an inability to coordinate balance, movements, problems talking, etc. It is now known that many cases of ataxia are directly linked to gluten consumption. This is called gluten ataxia and involves irreversible damage to the cerebellum, a part of the brain that is important in motor control. · Many studies show strong statistical associations between gluten consumption, gluten sensitivity and cerebellar ataxia. There is also a controlled trial showing that ataxia patients improve significantly on a gluten-free diet. · A study in Nutritional Neuroscience found that strict adherence to a gluten-free, casein-free diet led to improvements in autism behaviours, physiological symptoms and social behaviours, according to parents. · Another study in Iran reported that a gluten-free diet decreased gastrointestinal symptoms and significantly decreased behavioural disorders in children with autism. · There are studies showing that gluten can cause inflammation in the intestine and a degenerated intestinal lining. · For those with coeliac disease, a gluten-free diet could help you avoid inflammation and prevent harmful health consequences that could occur as a result. · One animal study noted that gluten intake shifted the balance of inflammatory immune cells in mice, causing an increase in markers of inflammation. Conversely, another animal study found that following a gluten-free diet improved levels of inflammatory markers in mice. · However, more studies on humans are needed to determine whether a gluten-free diet can help reduce inflammation in humans, including those with and without coeliac disease. · A 2013 animal study reported that mice given a gluten-free diet showed reductions in body weight and fat, even without any changes in food intake. They also had increases in specific receptors and enzymes that enhance the breakdown of fat. · Another animal study in the International Journal of Obesity found that eating wheat gluten increased weight gain by decreasing the energy expenditure of fat tissue. · More studies are needed focusing on the effects of gluten on body weight and body fat on humans specifically. · Irritable bowel syndrome, or IBS, is an intestinal disorder that causes digestive symptoms like bloating, gas, constipation and diarrhoea. 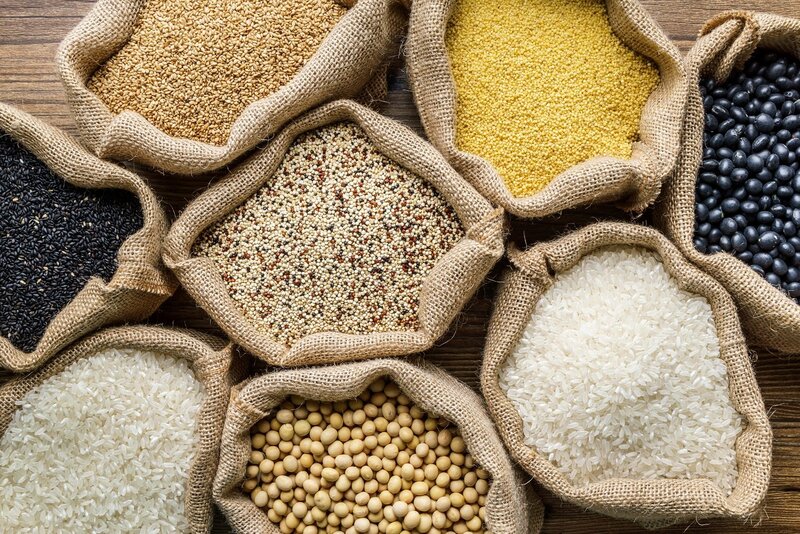 · A study in the journal Gastroenterology compared the effects of a gluten-free and gluten-containing diet on participants with diarrhoea-predominant IBS. Interestingly, researchers found that those eating gluten had increased bowel frequency and intestinal permeability (or leaky gut) compared to those on a gluten-free diet. Oats are naturally gluten free, but are often contaminated with wheat in the field or at the mill. So buying certified gluten-free oats is necessary for someone requiring a gluten free diet. 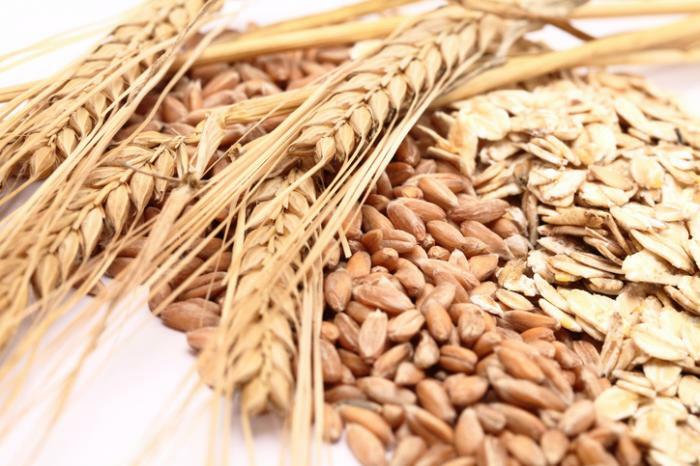 Avoid all food and drink that contains barley, rye, triticale (a cross between wheat and rye) and wheat. 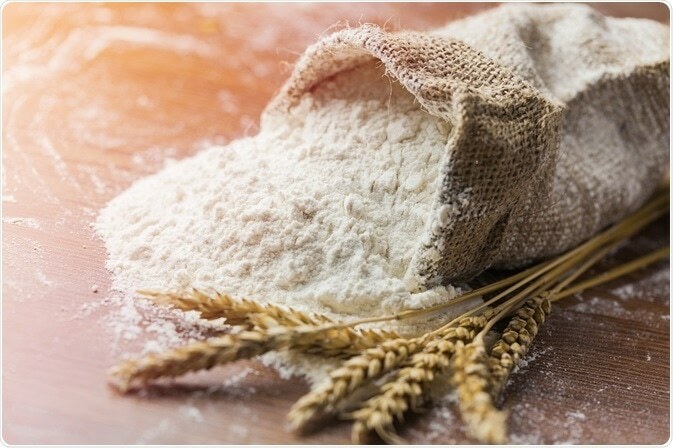 Wheat flour goes by many names, so it is a challenge to avoid them as well, such as durum flour, einkorn, emmer, malt, farina, graham flour, kamut, semolina and spelt. Watch for cross-contamination. Cross-contamination can happen during production, so labels should be read carefully for "may contain" statements. Be careful about eating out at restaurants. Ask the staff about gluten-free choices on the menu, and try to find out how it is prepared to avoid cross-contamination. Medications and supplements: Prescription and over-the-counter medications may use wheat gluten as a binding agent. Talk to your doctor or pharmacists about the drugs you're taking. Dietary supplements that contain wheat gluten must have "wheat" stated on the label. People assume that all supermarket free-from products that are gluten-free is healthy but that’s not always the case. Some products that are gluten-free contain high amounts of sugar in order to make it more palatable. Food includes bread and bread products like waffles, pancakes, crackers, snack chips and pretzels made with white rice flour, tapioca flour and/or potato starch, cakes and cookies. Gluten-free foods, especially refined foods processed to make them gluten-free also cheat the consumer out of the many health benefits of whole grains and can be lacking critical nutrients such as fibre, iron, zinc, folate, niacin, thiamine, riboflavin, calcium, vitamin B12 and phosphorus. People who only eat foods that are inherently gluten-free, like fruits, vegetables, gluten-free whole grains, lean protein, healthy fats, then gluten-free can be a healthy diet. However, if gluten-containing products are replaced with highly processed gluten free foods like pastries, energy bars, etc., weight loss will not be achieved and, in fact, weight may be gained as many gluten free foods are higher in calories than their gluten-containing replacements. If you do follow a gluten-free diet, make sure that the rest of your diet is well-rounded and nutritious. Gluten-containing grains pack in plenty of essential nutrients, so it’s important to make sure you’re meeting your nutritional needs and filling any gaps with other nutrient-rich foods. A gluten-free diet for kids is not advisable unless medically necessary or done under the supervision of a doctor or dietitian, as it can be lacking in important nutrients if not properly planned. This blog only touches upon the world of gluten-free which is a vast subject. The rise in gluten intolerance and associated disease has been subject to much discussion. Modern food processing and modern living may have a part to play in causing a sensitivity to gluten. Research into the benefits of a gluten-free diet is fast moving as well as the market for gluten-free products. Those with more serious conditions such as coeliac disease need to adhere to a strict gluten-free diet to prevent further damage to the small intestine and optimising digestive health. Moreover, being on a gluten-free diet has helped other conditions unrelated to the obvious gluten intolerance such as autism and epilepsy. If you are sensible in how you approach your gluten-free diet you will be able to reap the optimum benefit from it. Eating more raw, fresh, organic and naturally gluten-free foods and grains is the way to go rather than relying on the food industry to provide you with processed gluten-free alternatives. Always consult a health professional before you embark on a strict gluten free diet. Intermittent fasting is the practice of occasionally going for extended periods without eating. We all do some form of intermittent fasting every single day, except we don’t call it that. We call it sleeping. Fasting is one of the most ancient and widespread healing traditions in the world. Humans have fasted for most of their history, whether it’s during the typical overnight period, during more extended periods of food scarcity, or for religious reasons. Hippocrates (460 – 370 BC) prescribed the practice of fasting. He wrote, “To eat when you are sick, is to feed your illness”. The ancient Greek writer and historian Plutarch (46 – 120 AD) also echoed these sentiments. He wrote, “Instead of using medicine, better fast today . ” Ancient Greek thinkers Plato and his student Aristotle were also staunch supporters of fasting. Humans, like most animals, do not eat when they become sick. For this reason, fasting has been called the ‘physician within’. Fasting for spiritual purposes is widely practiced, and remains part of virtually every major religion in the world. Jesus Christ, Buddha and Prophet Muhammad (صلى الله عليه وسلم )all shared a common belief in the healing power of fasting. In spiritual terms, it is often called cleansing or purification, but practically, it amounts to the same thing. The practice of fasting developed independently among different religions and cultures, not as something that was harmful, but something that was deeply, intrinsically beneficial to the human body and spirit. In Buddhism, food is often consumed only in the morning, and followers fast from noon until the next morning daily. In addition to this, there may be various water-only fasts for days or weeks on end. Greek Orthodox Christians may follow various fasts over 180-200 days of the year. Muslims fast from sunrise to sunset during the Islamic month of Ramadan. The Prophet Muhammad (صلى الله عليه وسلم ) also encouraged fasting on Mondays and Thursdays of every week. Ramadan is the best studied of the fasting periods. It differs from many fasting protocols in that fluids are also forbidden. In addition to fasting, they also undergo a period of mild dehydration. 1. Feeding– During meals, insulin levels are raised. This allows uptake of glucose into tissues such as the muscle or brain to be used directly for energy. Excess glucose is stored as glycogen in the liver. 2. The Post-Absorptive Phase– 6-24 hours after beginning fasting- Insulin levels start to fall. Breakdown of glycogen releases glucose for energy. Glycogen stores last for roughly 24 hours. 3. Gluconeogenesis– 24 hours to 2 days after fasting– The liver manufactures new glucose from amino acids in a process called “gluconeogenesis”. Literally, this is translated as “making new glucose”. In non-diabetic persons, glucose levels fall but stay within the normal range. 4. Ketosis– 2-3 days after beginning fasting– The low levels of insulin reached during fasting stimulate lipolysis, the breakdown of fat for energy. The storage form of fat, known as triglycerides, is broken into glycerol and fatty acids. Glycerol is used for gluconeogenesis. Fatty acids may be used directly for energy by many tissues in the body, but not the brain. Ketone bodies, capable of crossing the blood-brain barrier, are produced from fatty acids for use by the brain. After four days of fasting, approximately 75% of the energy used by the brain is provided by ketones. 5. Protein Conservation Phase– 5 days after fasting– High levels of growth hormone maintain muscle mass and lean tissues. The energy for maintenance of basal metabolism is almost entirely met by the use of free fatty acids and ketones. Increased adrenalin levels prevent the decrease in metabolic rate. The human body has well developed mechanisms for dealing with periods of low food availability. In essence, what we are describing here is the process of switching from burning glucose (short term) to burning fat (long term). Fat is simply the body’s stored food energy. In times of low food availability, stored food is naturally released to fill the void. The body does not ‘burn muscle’ in an effort to feed itself until all the fat stores are used. · Improves appetite control - Intermittent fasting will generally make you eat fewer meals and eat less calories. · Intermittent fasting enhances hormone function to facilitate weight loss. · Lower insulin levels, higher growth hormone levels and increased amounts of noradrenaline all increase the breakdown of body fat and facilitate its use for energy. · Increased growth hormone release - helps to preserve muscle mass and bone density as well as aid fast recovery after exercise. · Increases Metabolic Rate – after only 48 hours of fasting a 3.6% increase in metabolic rate was seen which was stimulated by the release of adrenalin. The increase in adrenalin boosts energy even while in resting state. · Fasting transitions the body from burning sugar to burning fat and increases in fat burning. · Improves blood sugar control - by lowering blood glucose and increasing insulin sensitivity. · Blood levels of insulin drop significantly, which facilitates fat burning. This effect is seen with fasting periods as short as 24-36 hours. · Longer duration fasts reduce insulin even more dramatically. · Regular fasting, in addition to lowering insulin levels, has also been shown to improve insulin sensitivity significantly. · Intermittent fasting has been shown to improve numerous different risk factors, including blood pressure, total and LDL cholesterol, blood triglycerides, inflammatory markers and blood sugar levels. · Improves cardiovascular function by offering protection against ischemic injury to the heart. · It lowers blood lipids including decreasing triglycerides and LDL cholesterol. · A study from Obesityshows that fasting produces an anti-inflammatory effect on the neuroimmune system that a high-fat diet would otherwise prevent. · Intermittent fasting may enhance the body's resistance to oxidative stress. · Several studies in rats have shown that intermittent fasting may increase the growth of new nerve cells, which should have benefits for brain function. · It also increases levels of a brain hormone called brain-derived neurotrophic factor (BDNF), a deficiency of which has been implicated in depression and various other brain problems. · It can also improve neuronal plasticity by offering protection against neurotoxins. · Animal studies have also shown that intermittent fasting protects against brain damage due to strokes. · Intermittent fasting may delay the onset of Alzheimer's disease or reduce its severity. · Fasting may protect against other neurodegenerative diseases, including Parkinson's and Huntington's disease but more studies are needed to confirm this. · When we fast, the cells in the body initiate a cellular "waste removal" process called autophagy. · This involves the cells breaking down and metabolising broken and dysfunctional proteins that build up inside cells over time. · Autophagy helps cells overcome stresses brought on from external causes like the deprivation of important nutrients, as well as internal issues like pathogens or invading infections organisms. · Increased autophagy may provide protection against several diseases, including cancer and Alzheimer's disease. · There are beneficial changes in several genes and molecules related to longevity and protection against disease. · Studies in rats have shown that intermittent fasting extends lifespan in a similar way as continuous calorie restriction. · In some of these studies, the effects were quite dramatic. In one of them, rats that fasted every other day lived 83% longer than rats who didn’t fast. Fasting is defined as the voluntary act of withholding food for a specific period of time. In some fasting schedules non-caloric drinks such as water and tea are permitted. An absolute fast refers to the withholding of both food and drink. This may be done for religious purposes, such as during Ramadan in Islam. · The 16/8 Method- It involves skipping breakfast and restricting your daily eating period to 8 hours, for example from 1 pm to 9 pm. Then you "fast" for 16 hours in between. · Eat-Stop-Eat- This involves fasting for 24 hours, once or twice a week, for example by not eating from dinner one day until dinner the next day. · The 5:2 Diet- On two non-consecutive days of the week, only eat 500-600 calories. Eat normally the other 5 days. · The ‘Warrior’ diet– The core of the diet consists of eating all meals in the evening during a 4 hour window. The fasting period of 20 hours consisted of most of the day. There was also an emphasis on natural unprocessed foods and high intensity training. · Alternate-day fasting- Fasting every other day, either by not eating anything or only eating a few hundred calories. If you are an all-around healthy person, there is no risk in trying intermittent fasting. But anyone with an eating disorder, a history of eating disorders, or body dysmorphia should not try intermittent fasting. People with diabetes, women who are pregnant or breastfeeding, and those taking prescription medication that has to be taken at a specific time with food are also not candidates for intermittent fasting. Careful monitoring by a health professional should be done if you are planning to fast longer than 24 hours. If you feel unwell at any point during the fasting, you must stop. You may feel hungry, but you should not feel faint, or unwell or nauseated. This is not normal and you should not attempt to ‘push through’. Be wary of a condition known as hypoglycaemia which often manifests as shaking, sweating and sometimes seizures. The natural rhythm of life is Feast and Fast. There are times that you should feast (weddings, celebrations), and there are times that you should fast. Intermittent. To go on a ‘diet’ or restrict calories for years could be harmful and ultimately may prevent you from shifting the excess fat. Always consult your physician for advice. Fasting is truly an idea that has withstood the test of time. It has been used for weight loss, to improve heart health, extend life, prevent Alzheimer’s, prevent insulin resistance and even slow down the entire aging process. Rather than something we’re forced to endure – a result of poor food availability or cultural expectations – intermittent fasting is becoming something that health and physique-oriented people are seeking out in order to keep their bodies in top shape. What’s new is that clinical research on intermittent fasting benefits for health and longevity is now beginning to catch up.